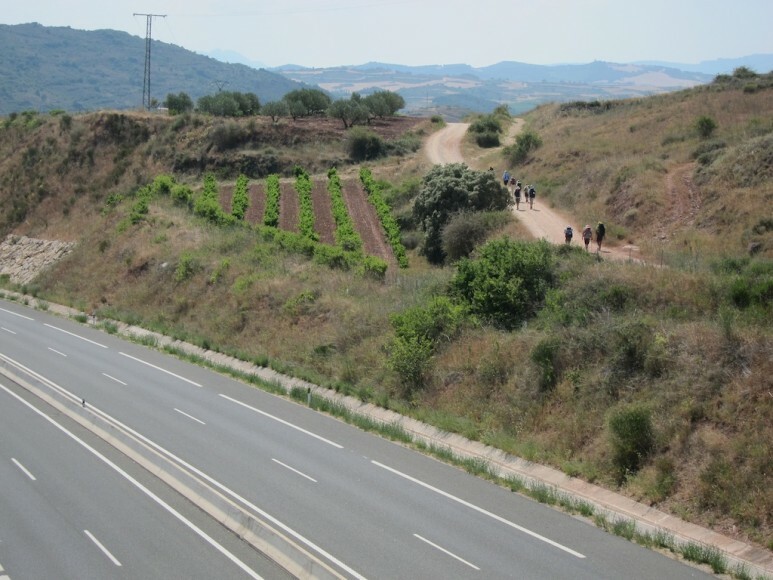 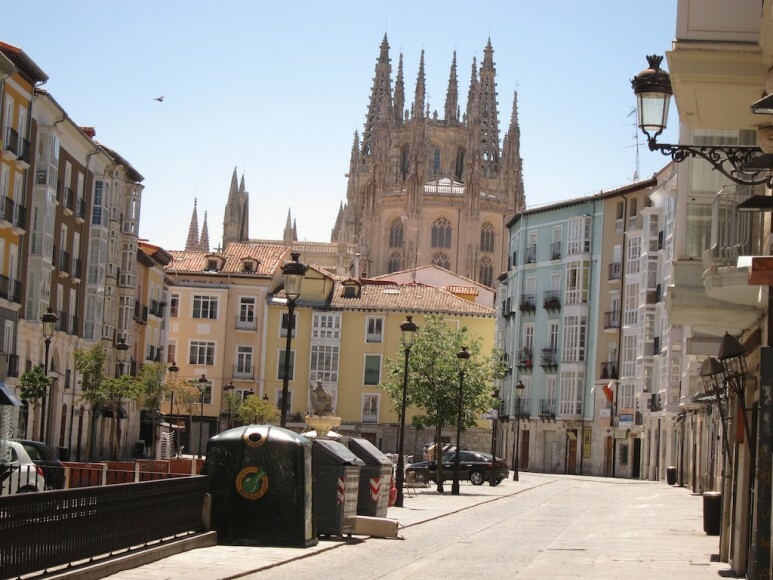 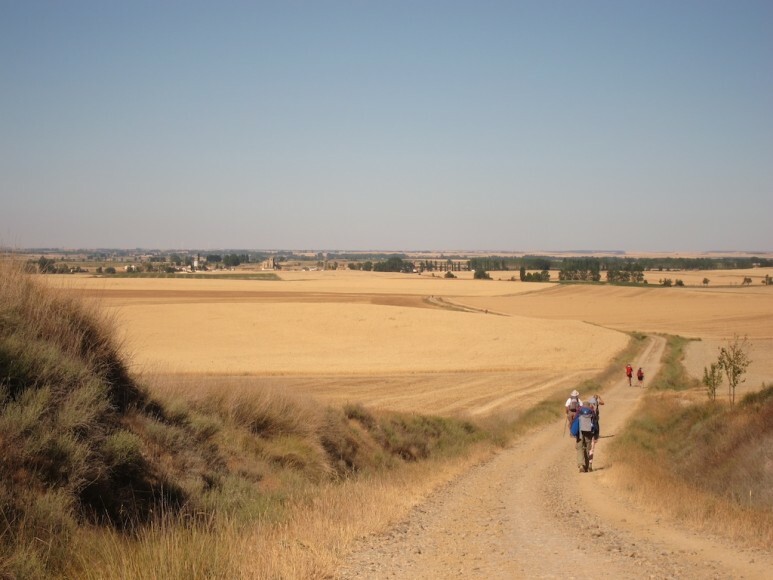 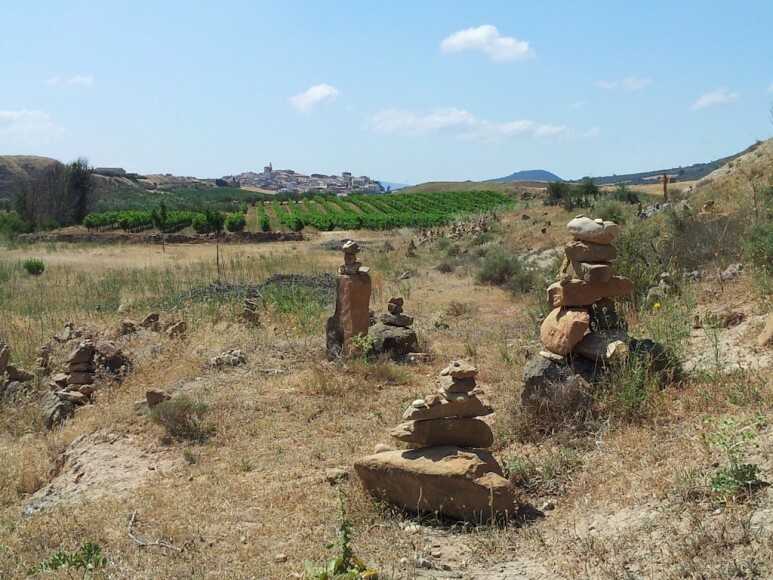 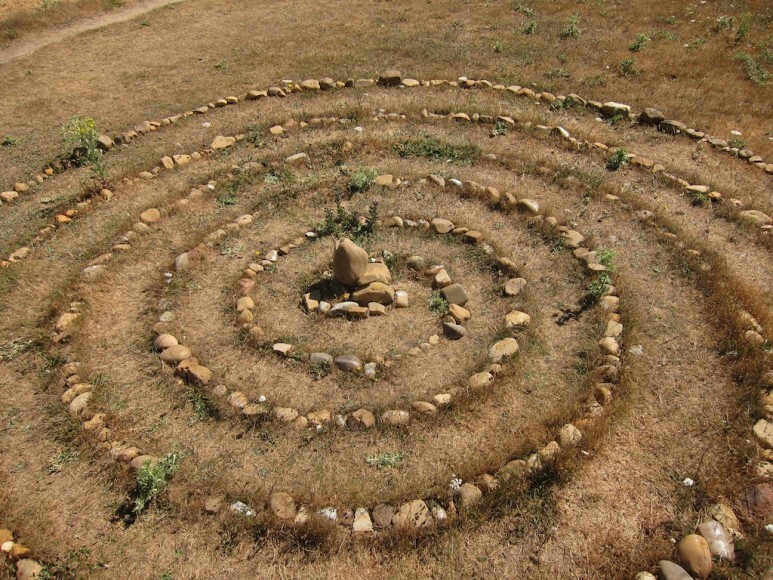 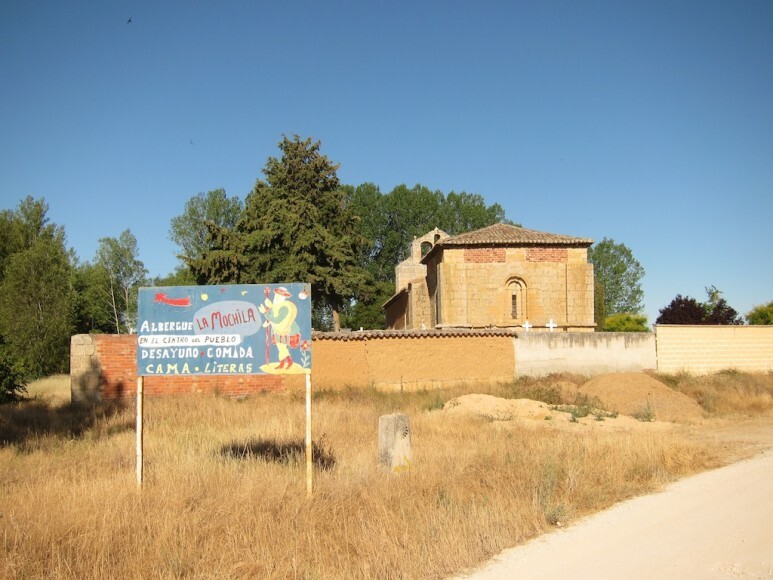 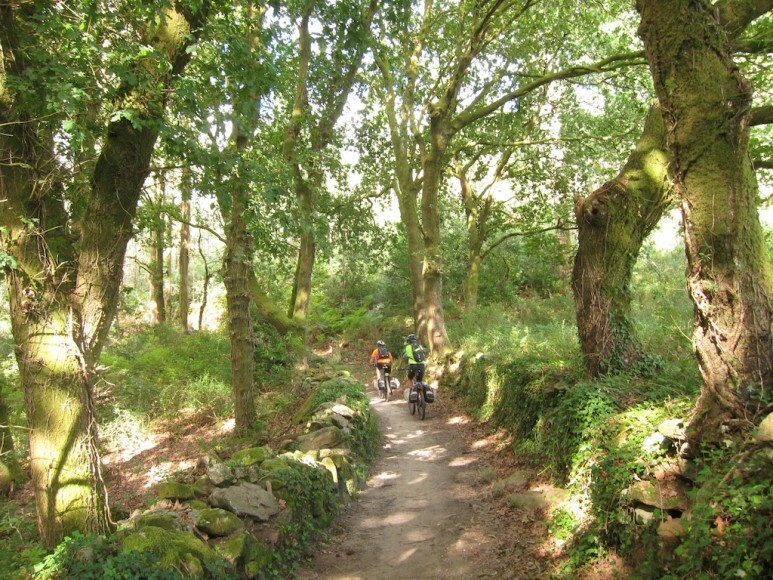 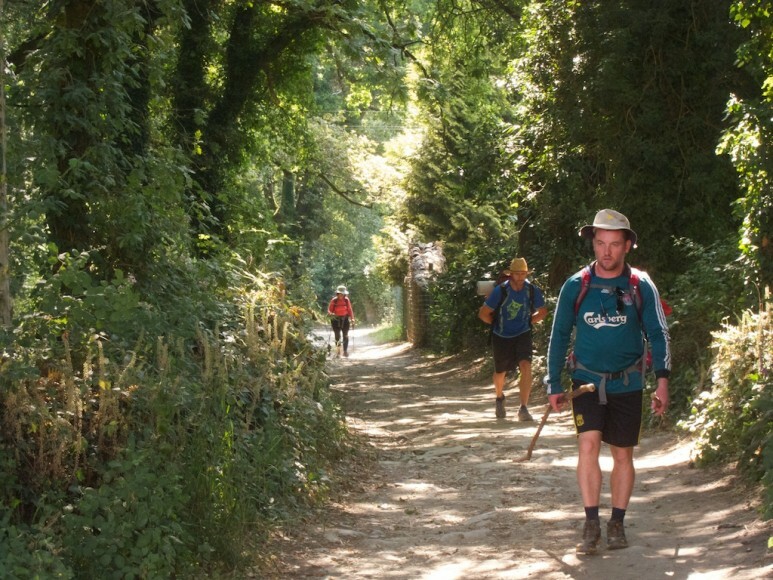 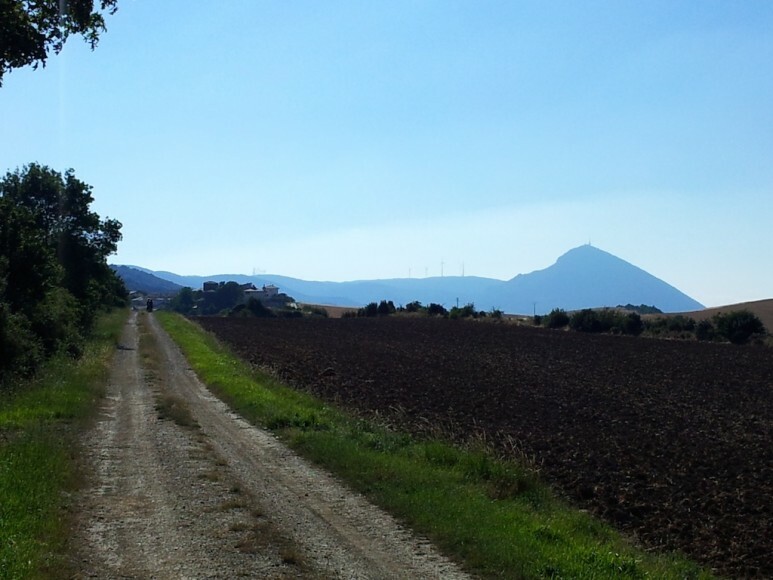 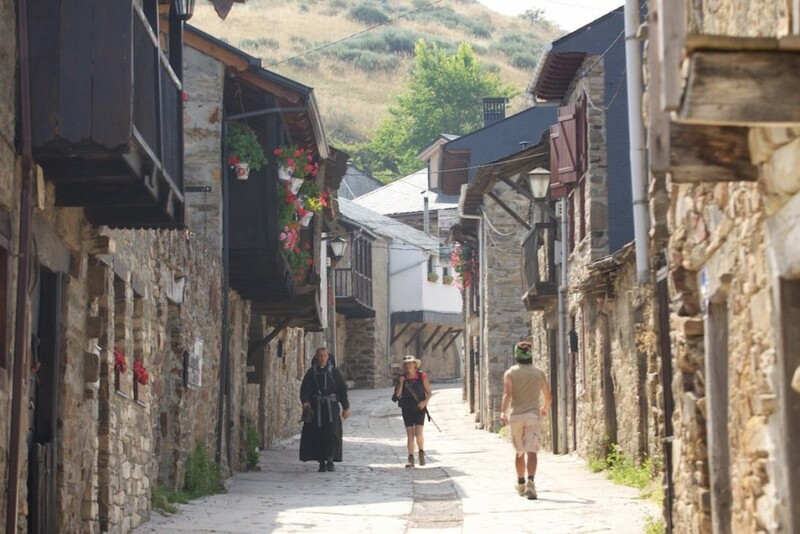 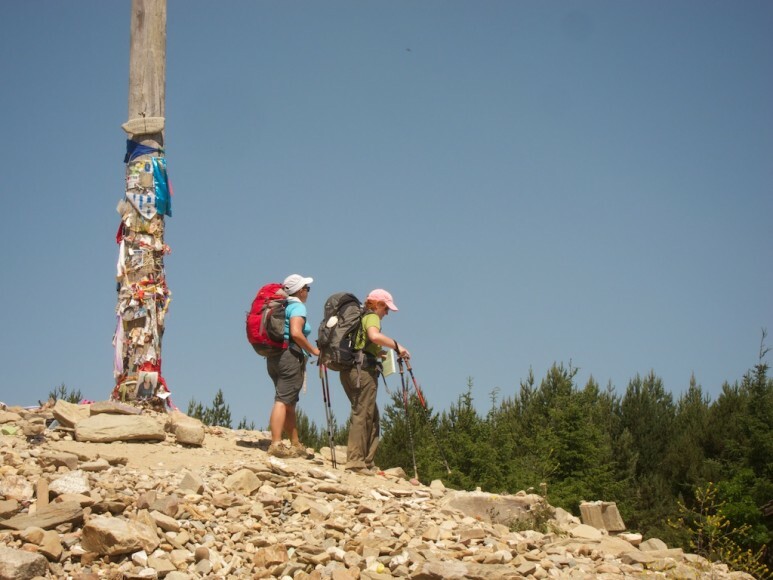 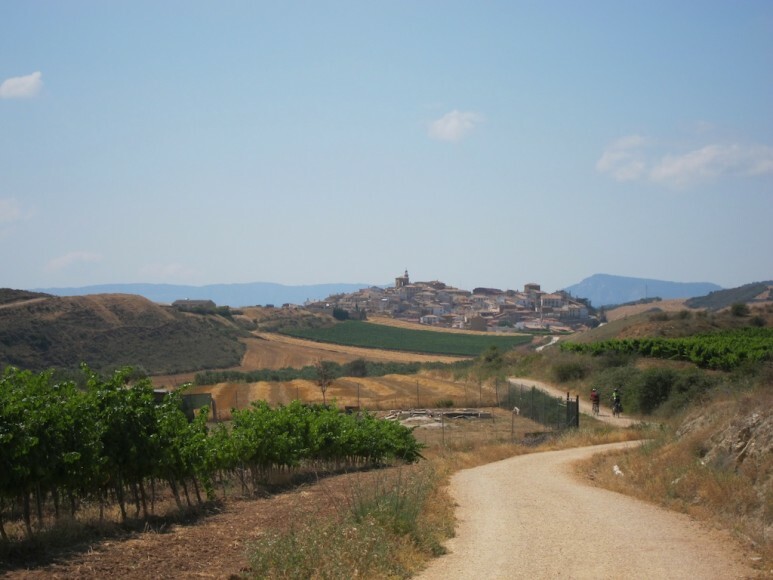 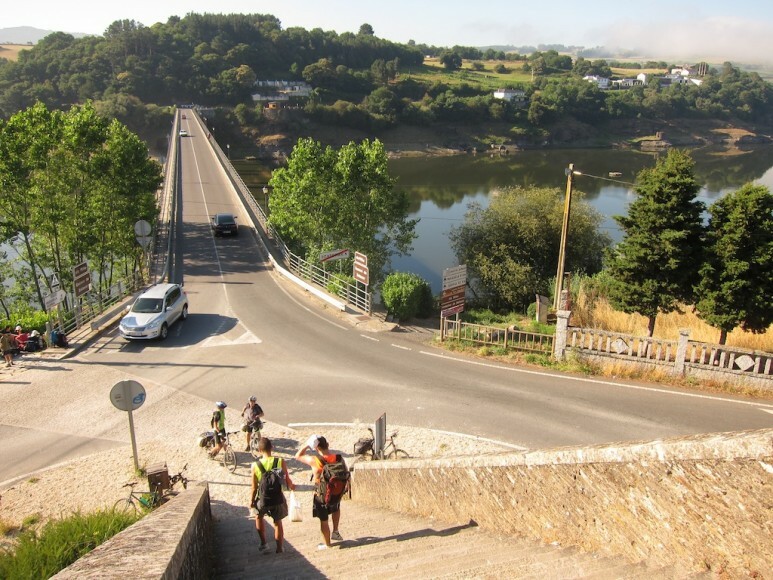 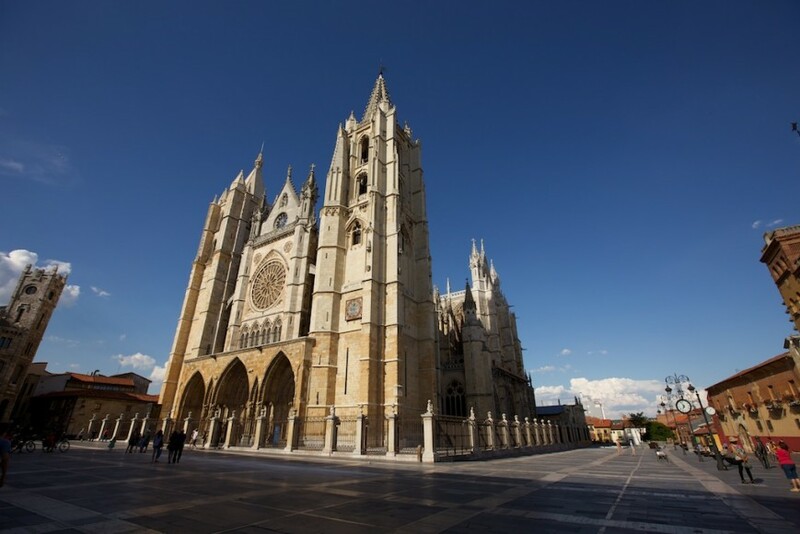 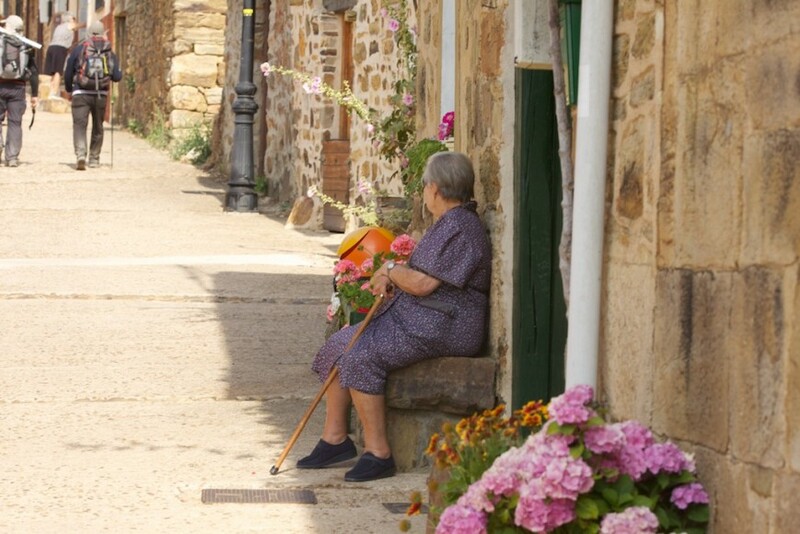 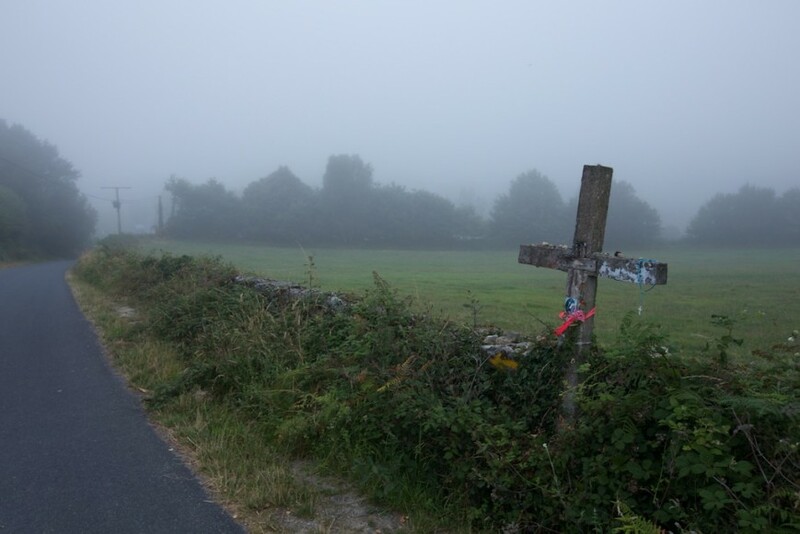 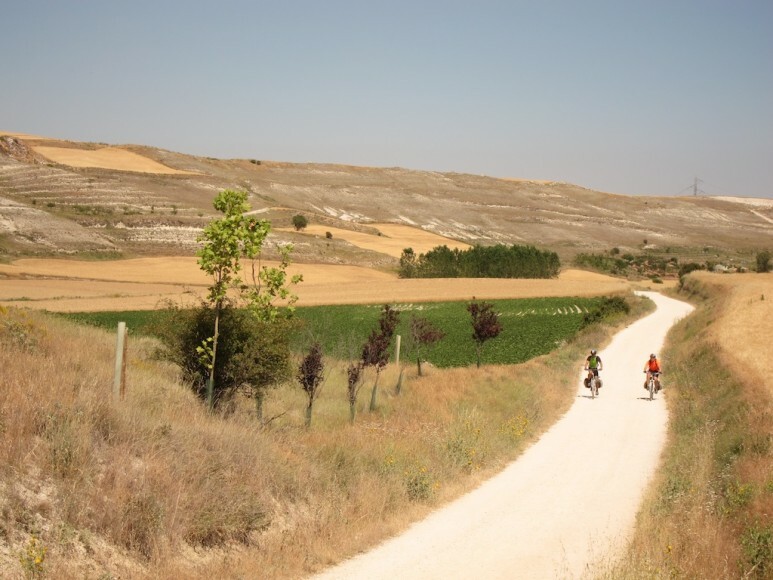 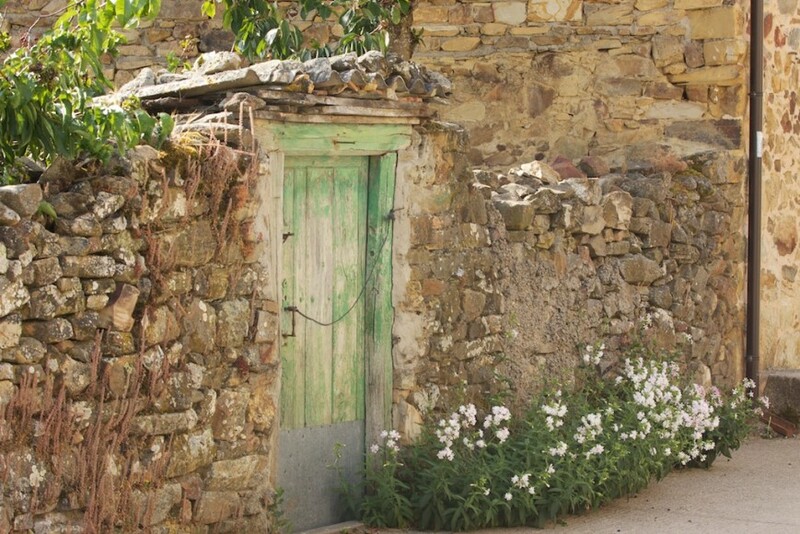 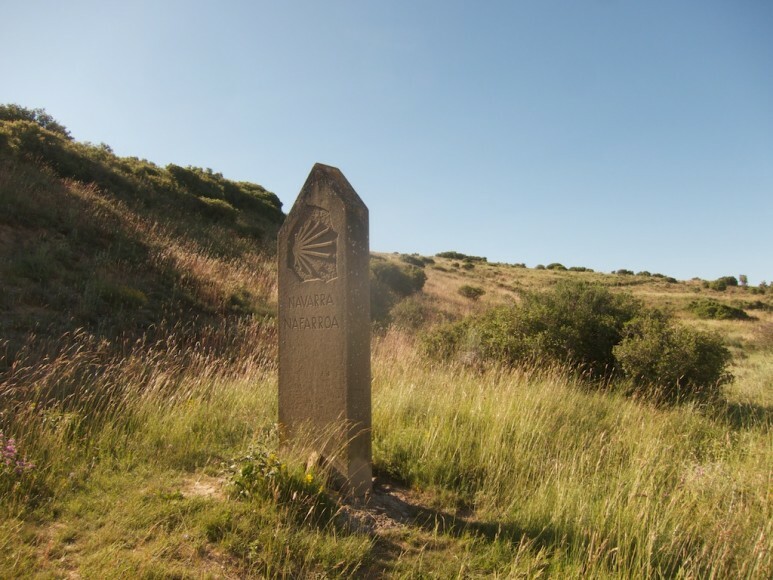 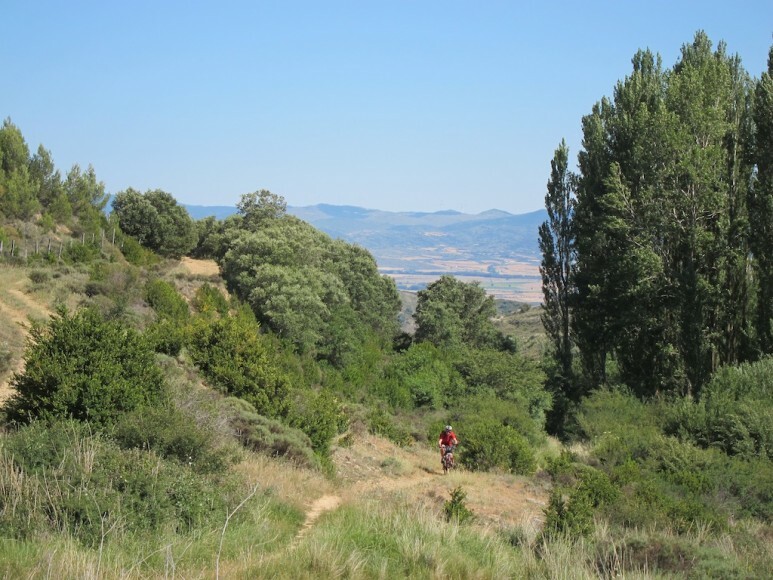 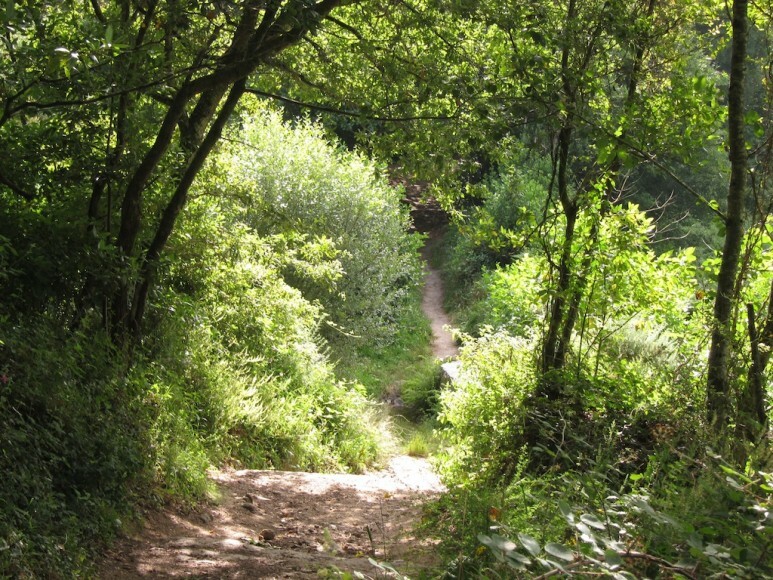 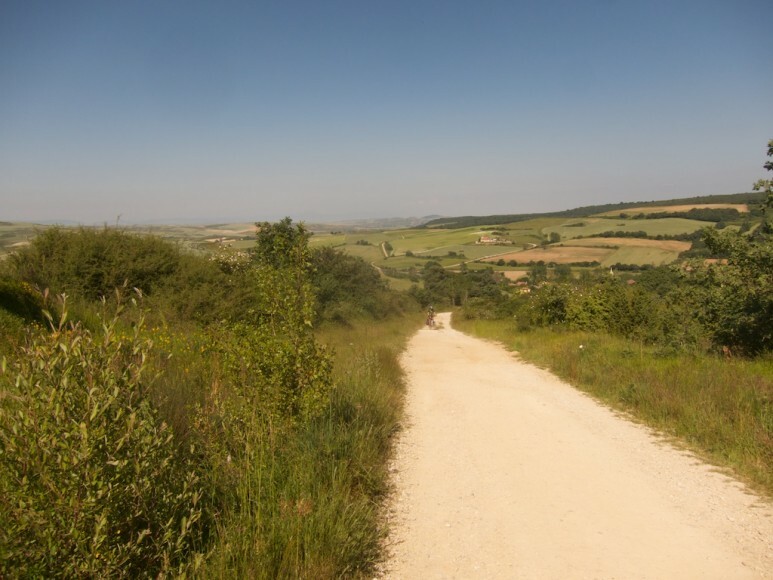 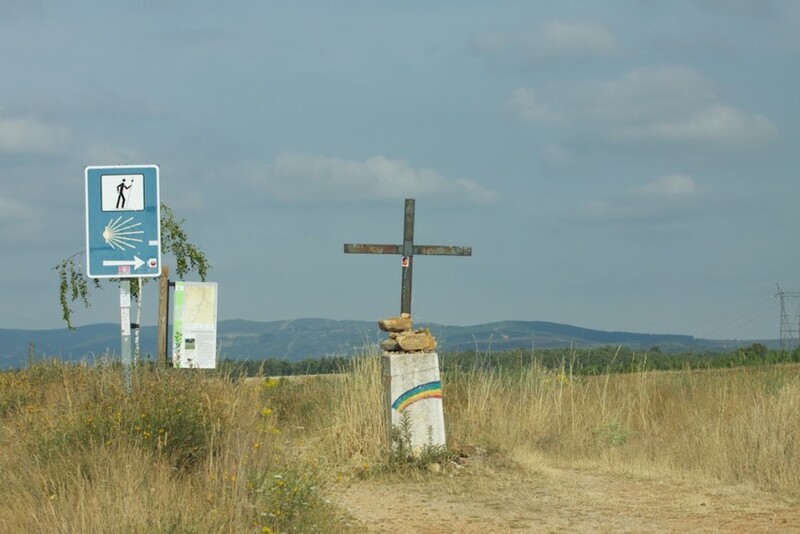 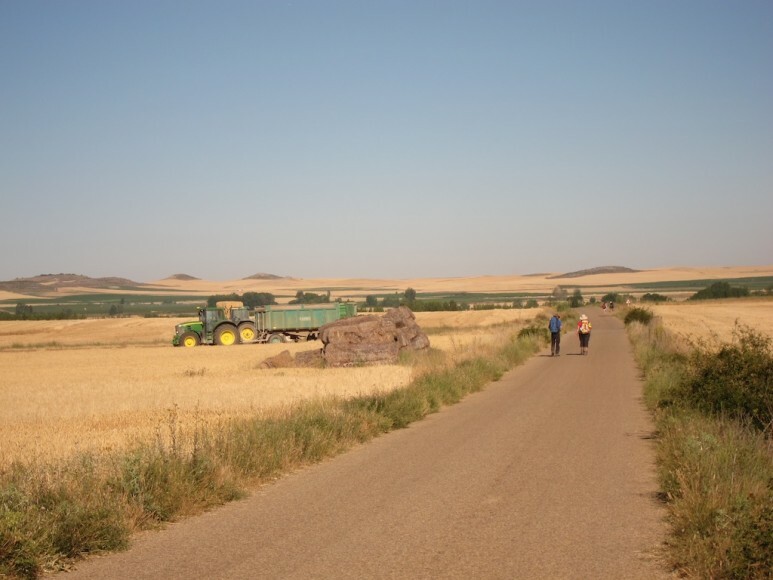 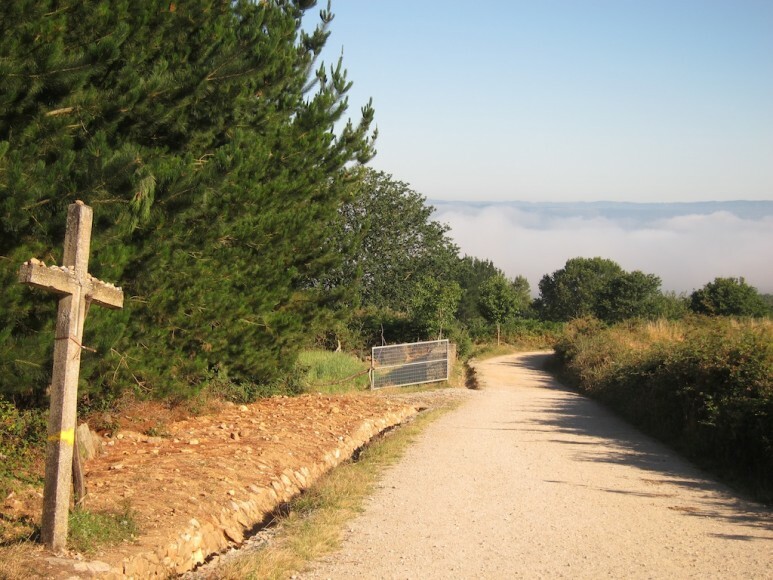 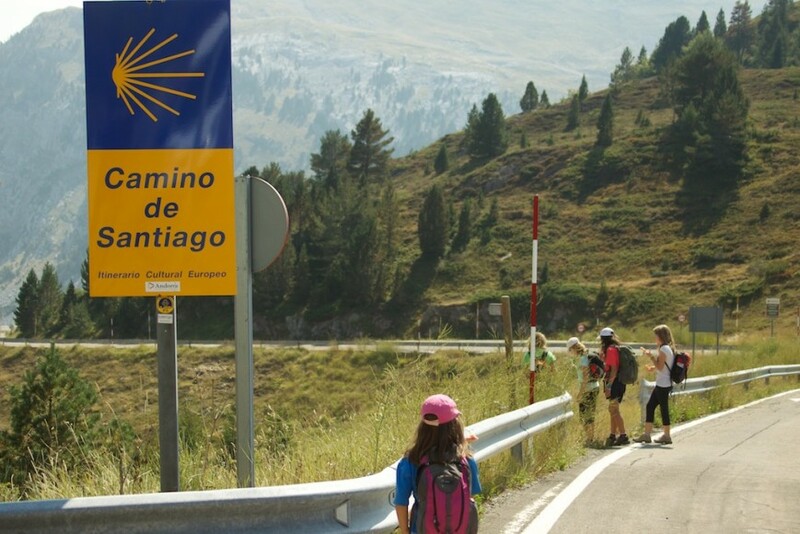 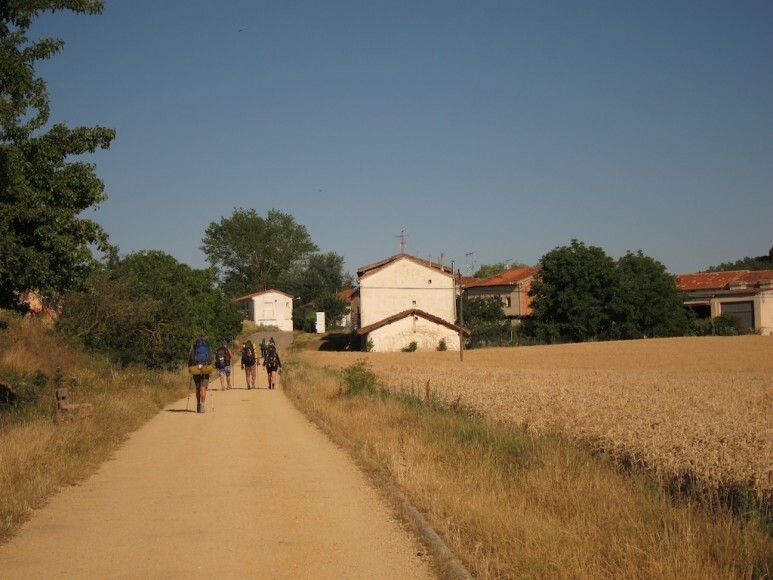 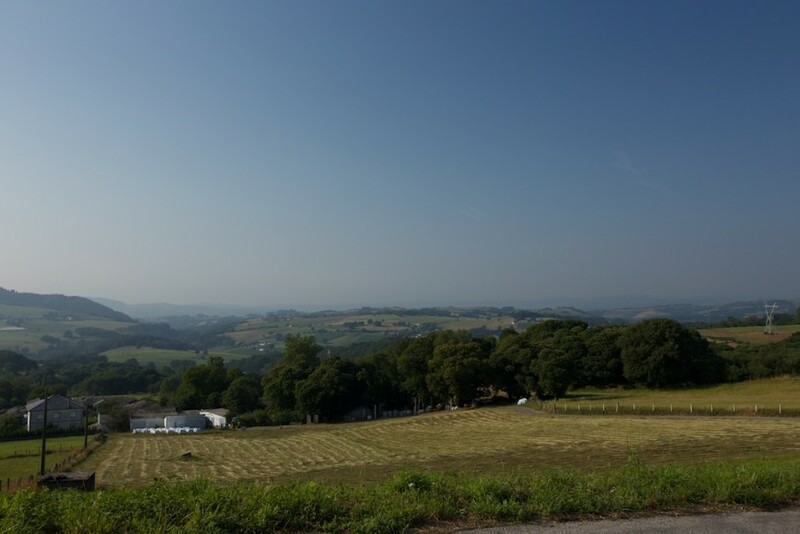 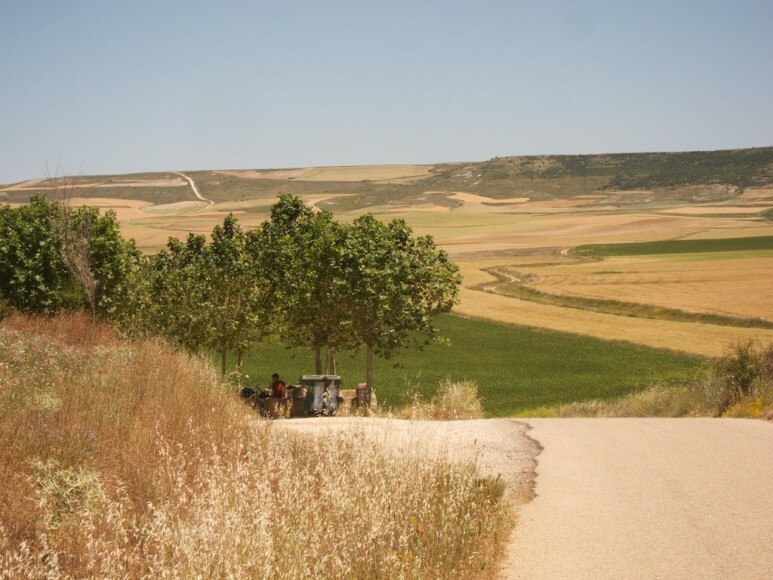 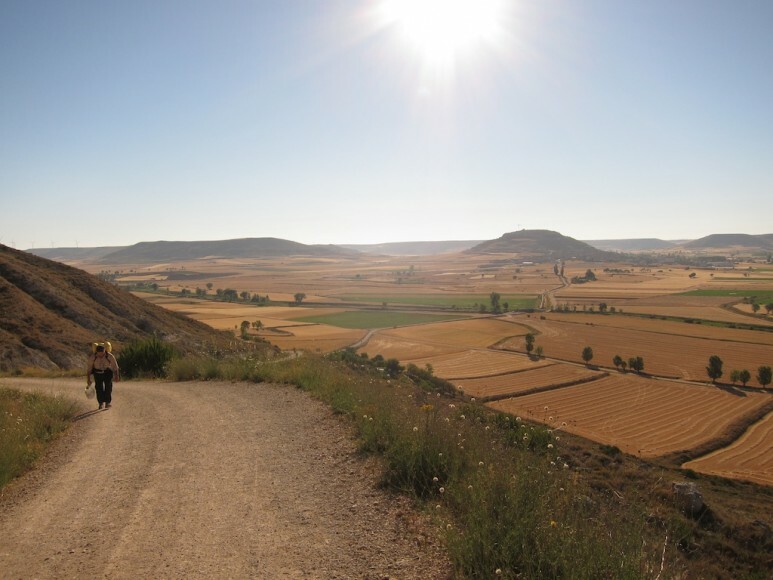 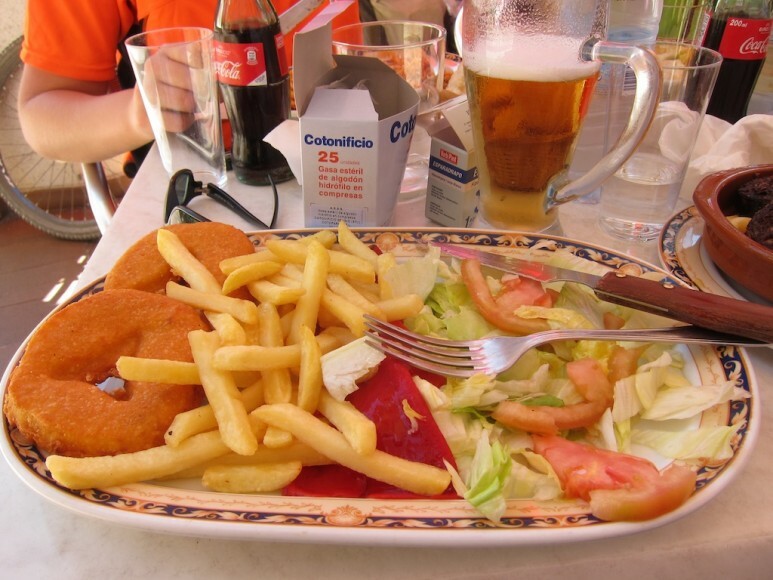 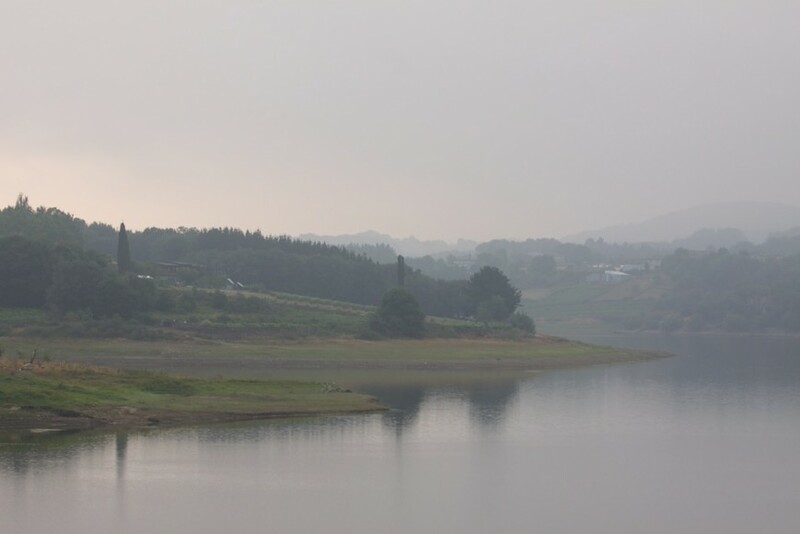 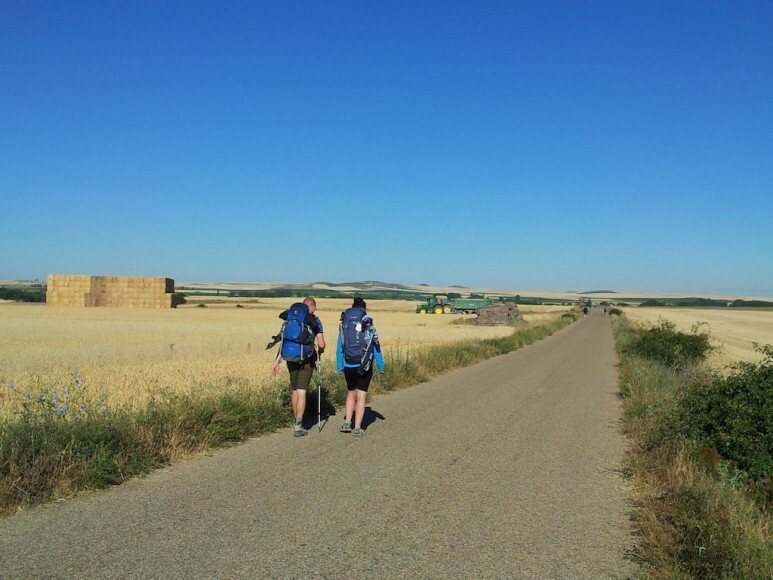 The St James’ Way called the “Camino de Santiago” in Spanish, is one of the most renowned pilgrimage routes in the World, and is one that has become increasingly popular in recent years both as a spiritual path and as a journey for its own sake. 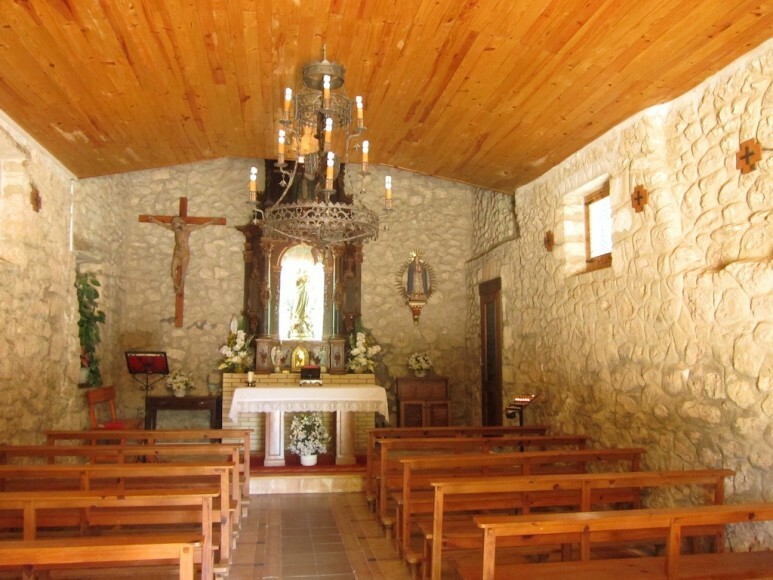 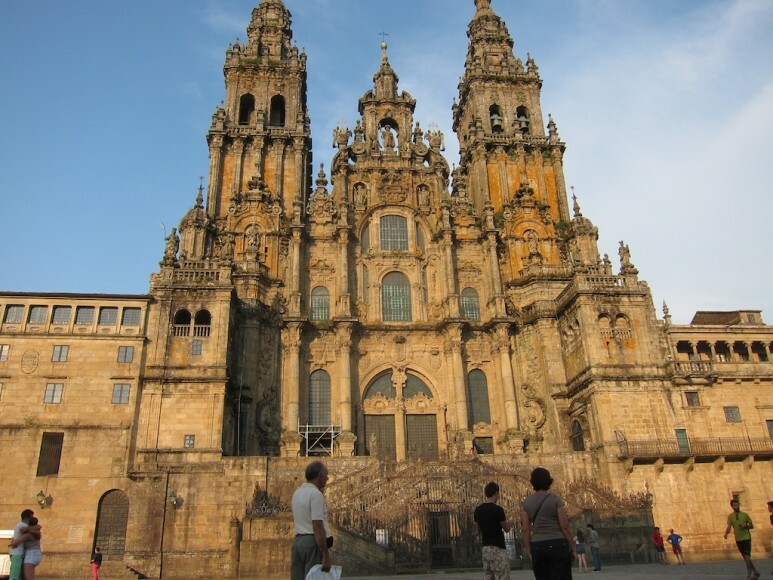 The St James’ Way is actually various routes, all leading to the shrine in the Cathedral city of Santiago (St James) de Compostela in Galicia, where it is said that the remains of the apostle St James the Great lies. 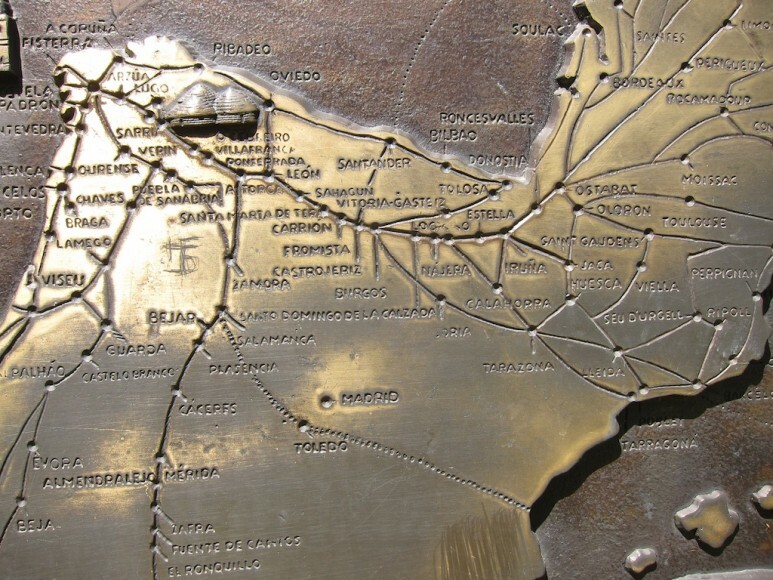 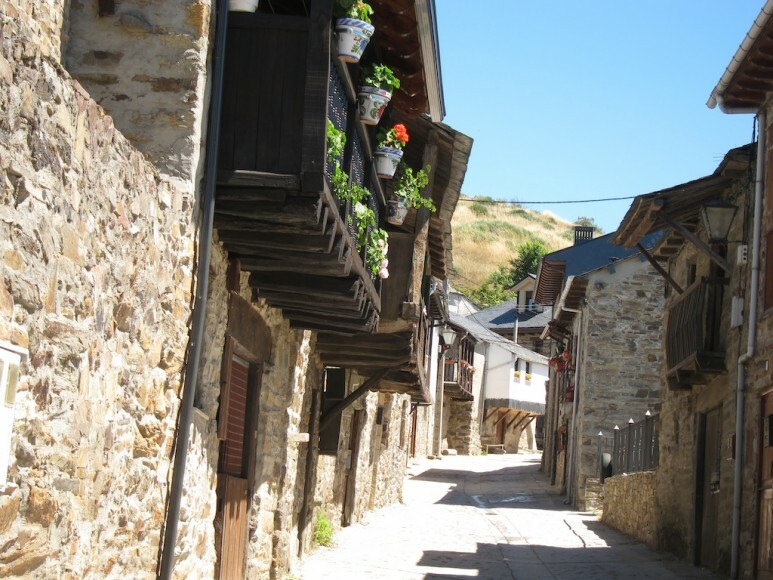 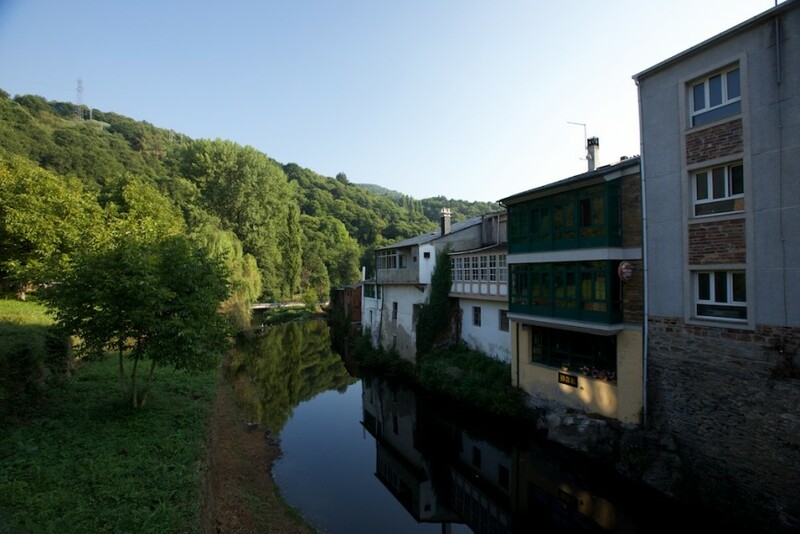 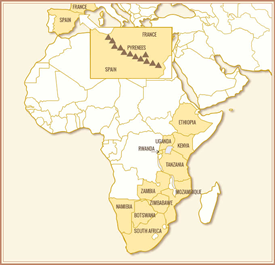 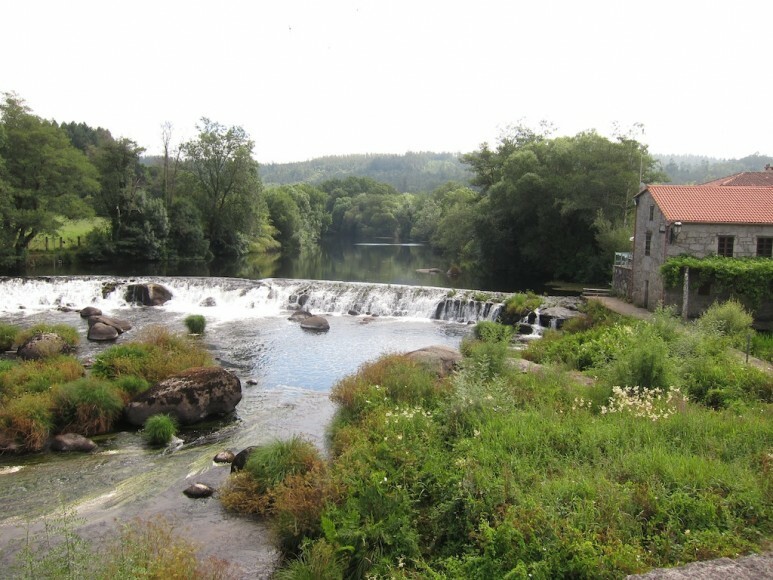 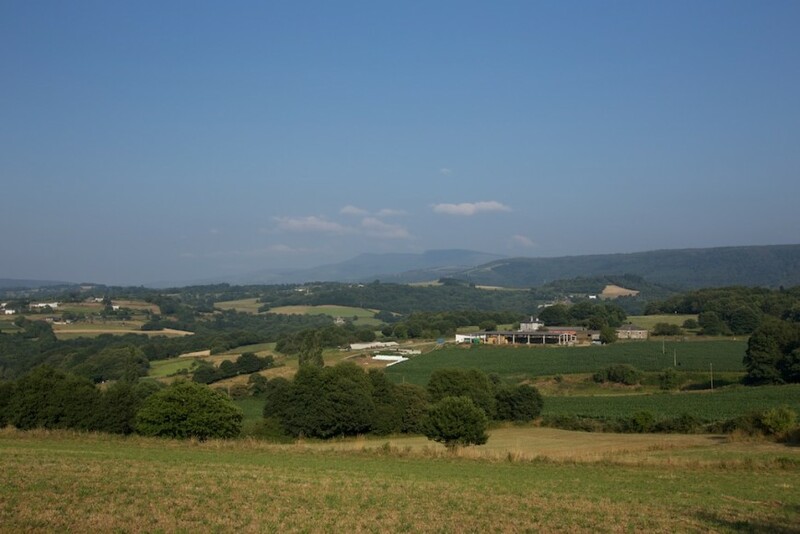 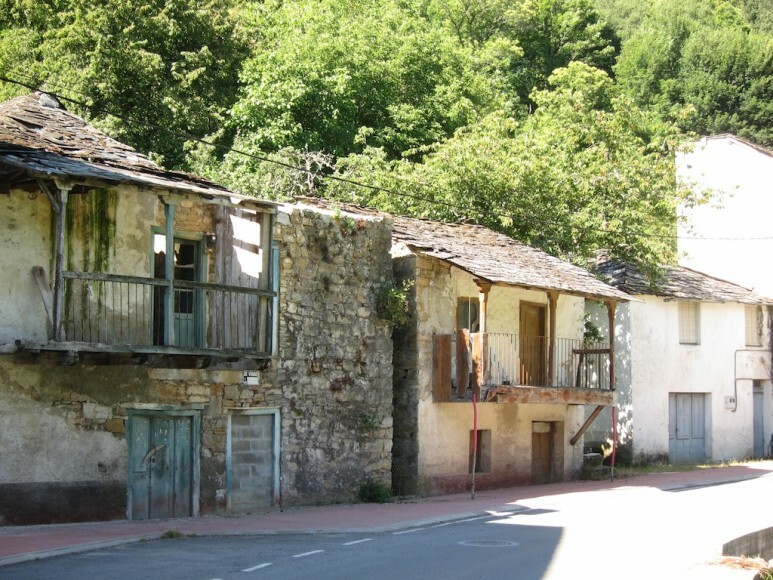 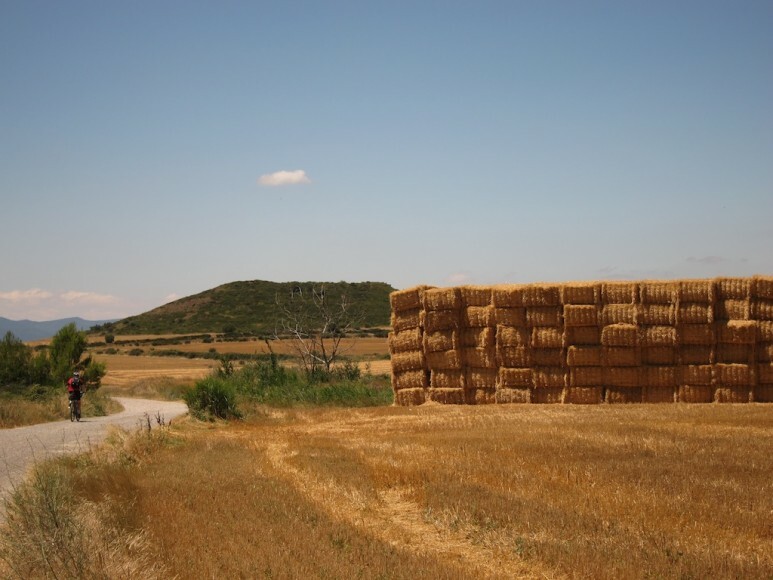 The most famous of the routes is the “Camino Frances” or French Route, which typically starts in St Jean Pied de Port in France, about 700 kilometres from Santiago, and crosses the Pyrenees to Roncesvalles and Pamplona, thereafter staying south of the range of mountains that separate the wetter and greener north with the vast dry plains of Castile to the south, and finally crossing back over this range again from Leon into Galicia. 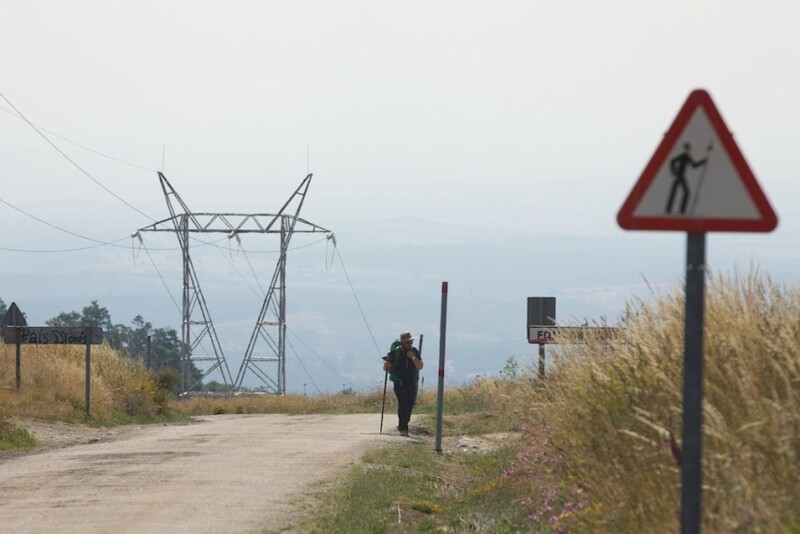 This often takes over a month on foot, although mountain bikers can cover the distance in less than 2 weeks. 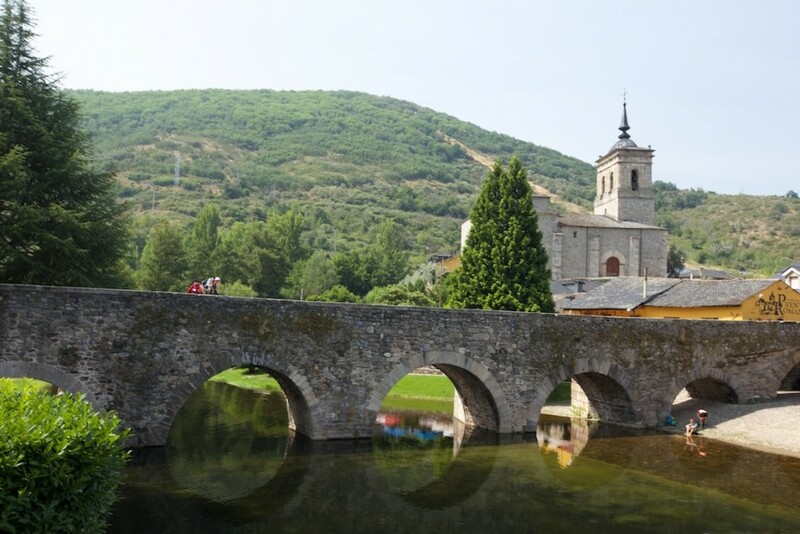 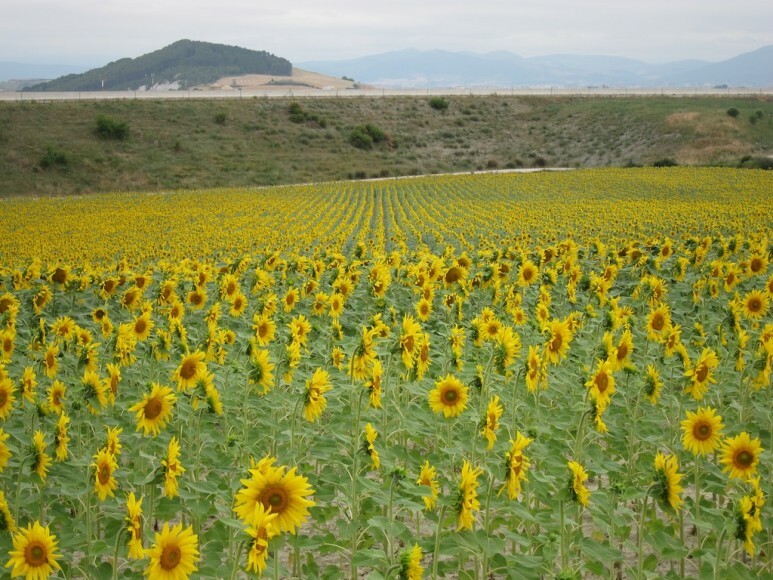 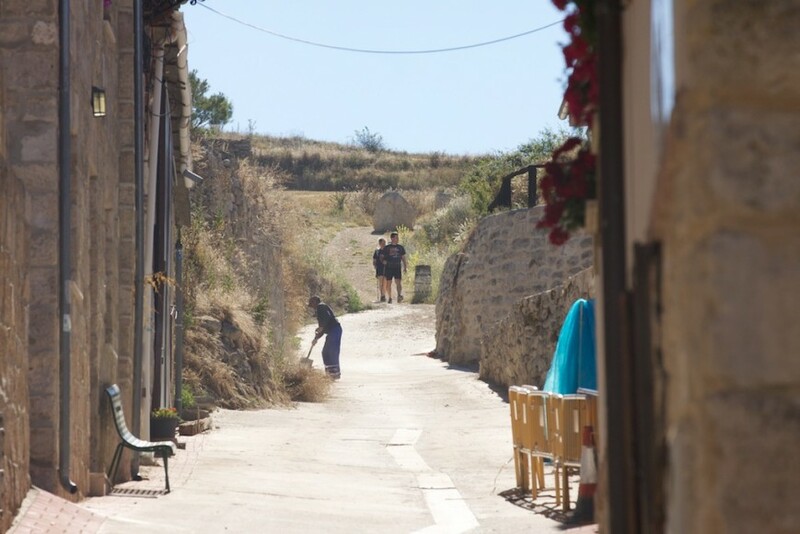 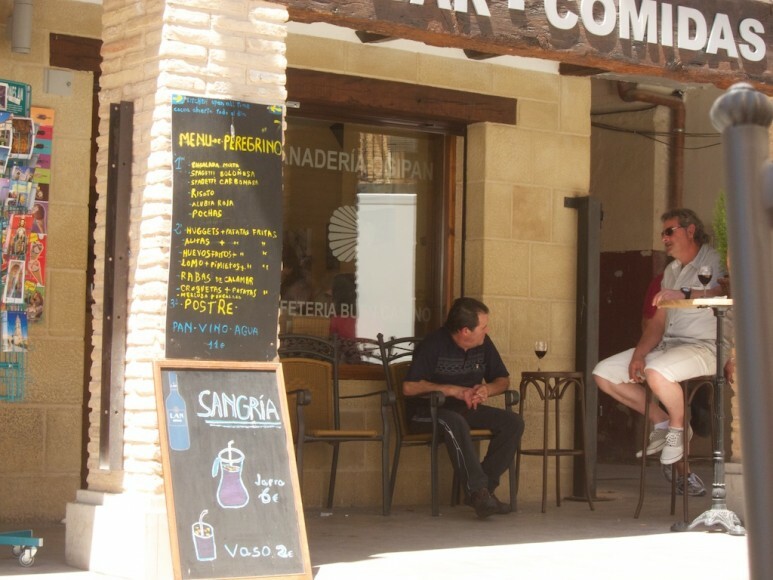 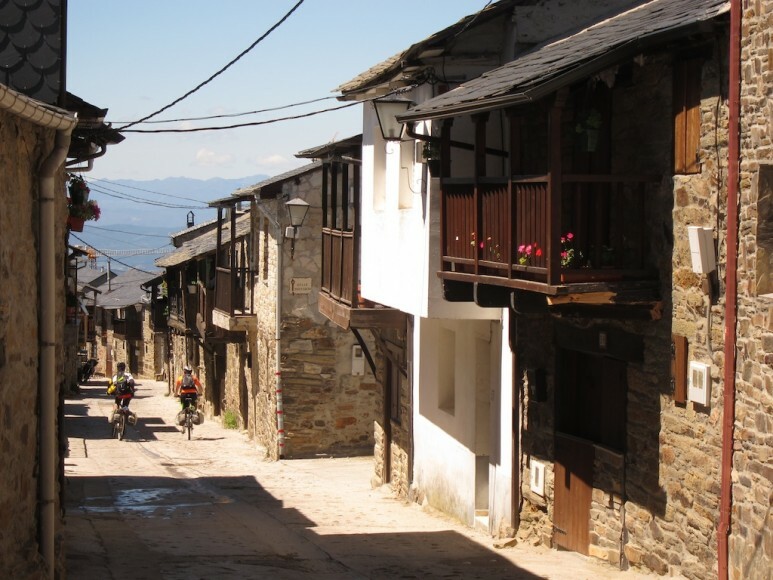 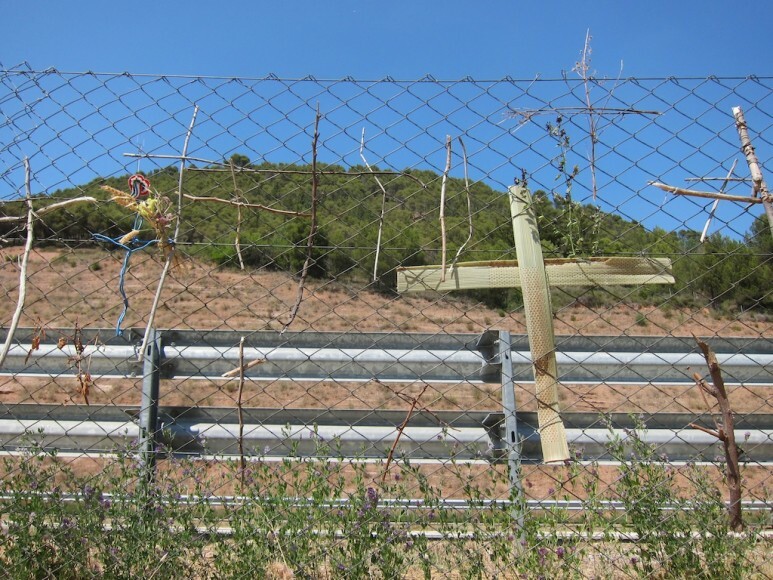 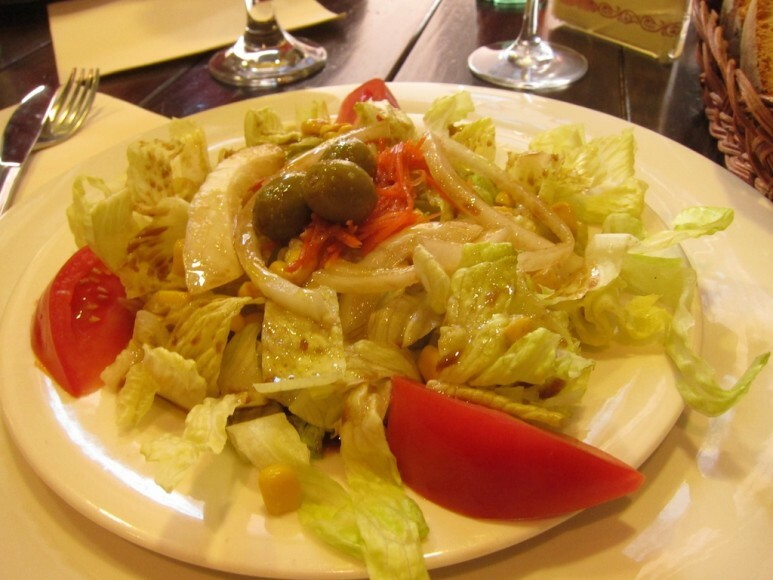 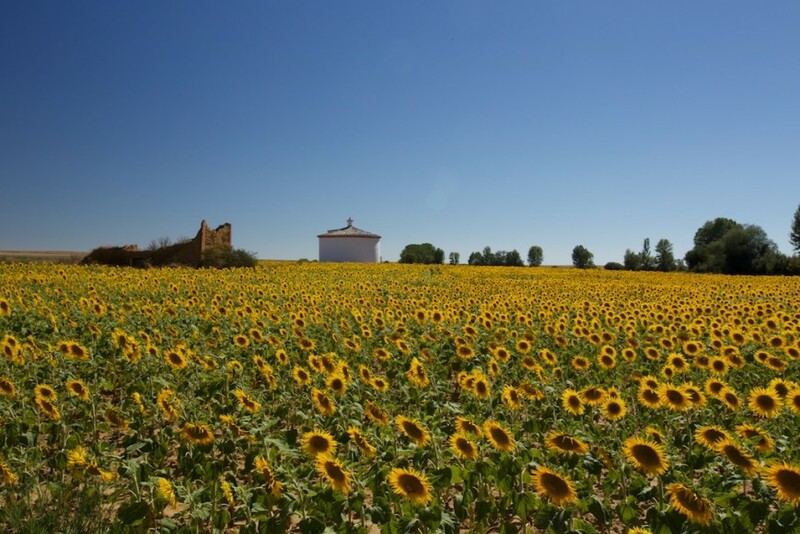 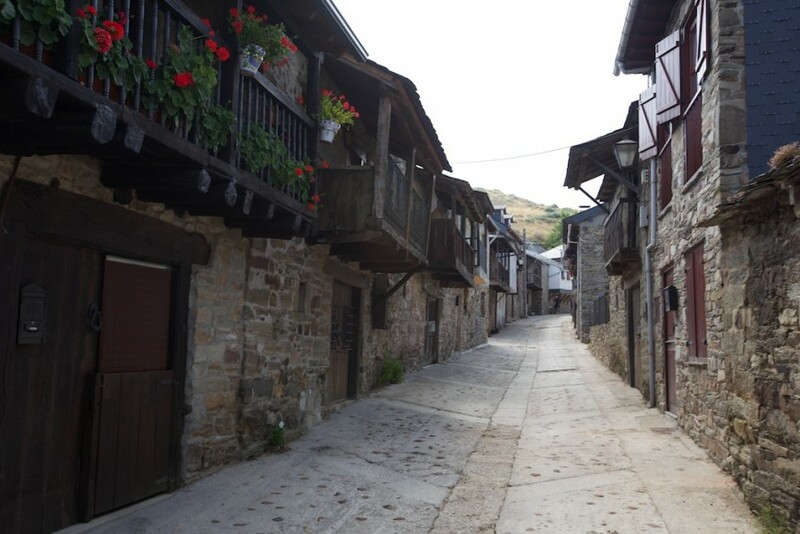 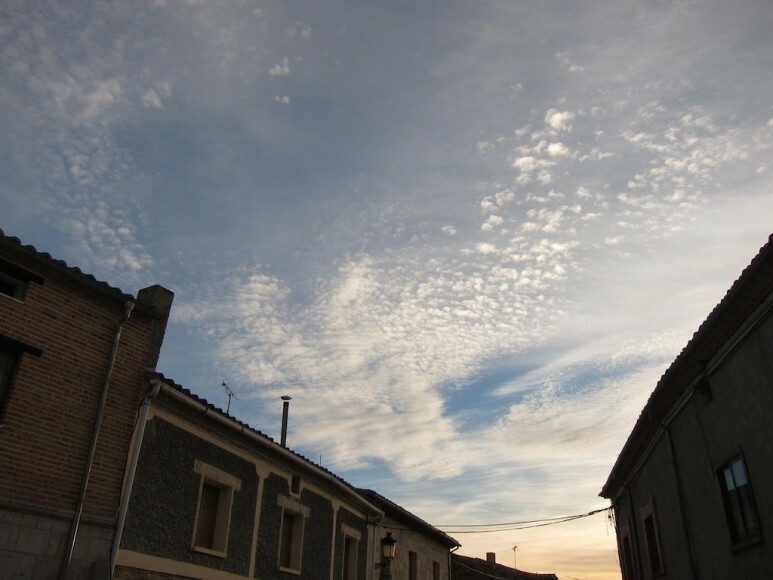 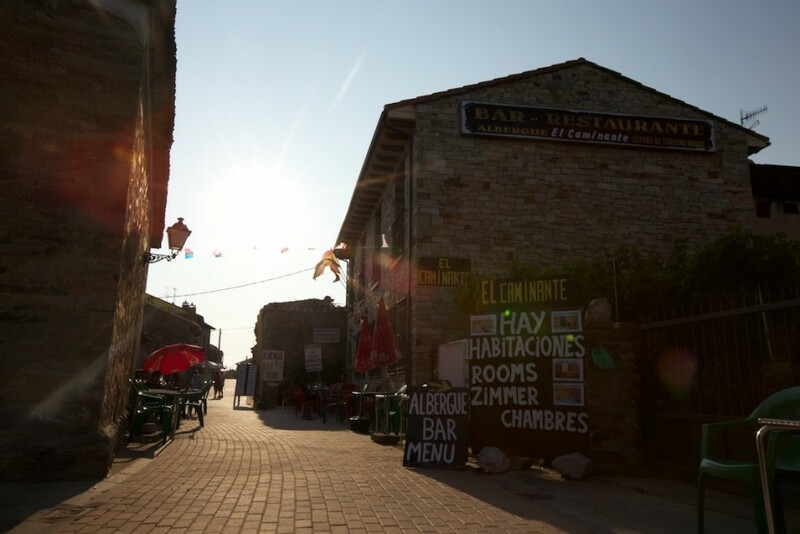 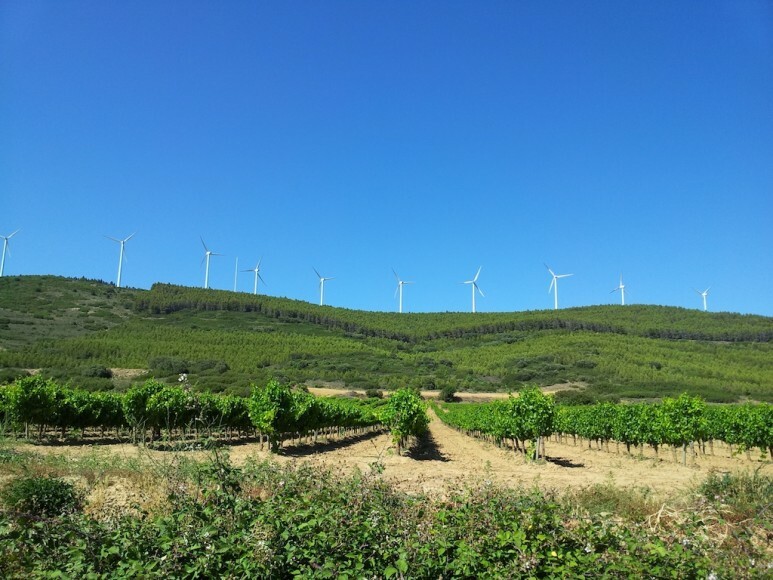 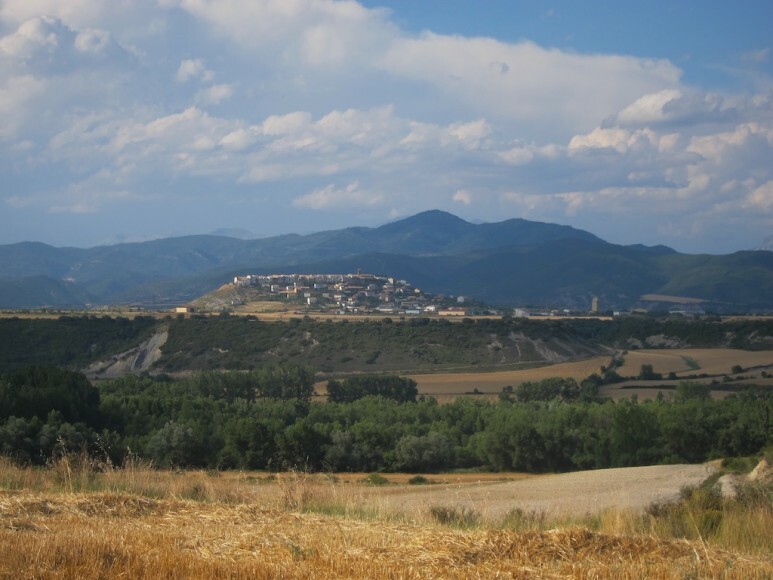 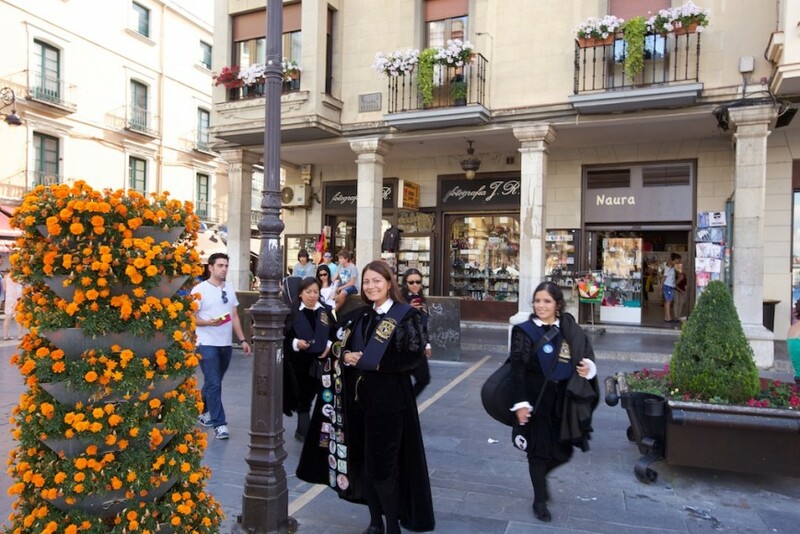 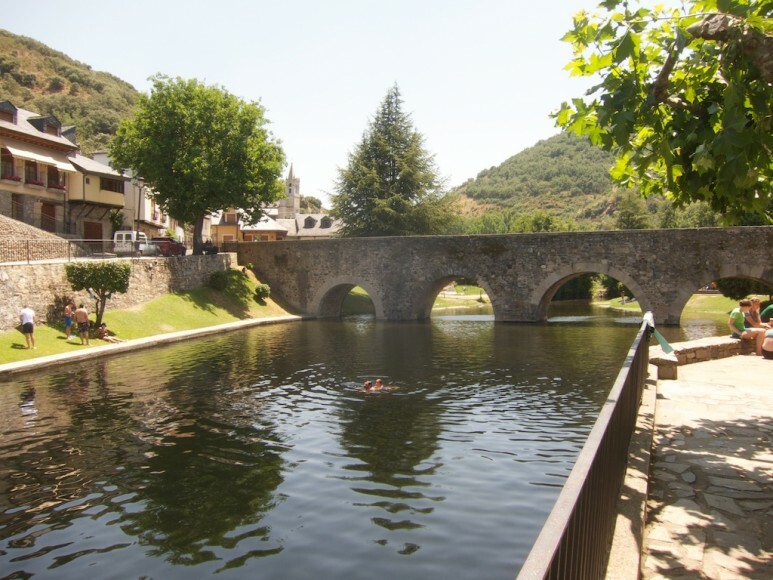 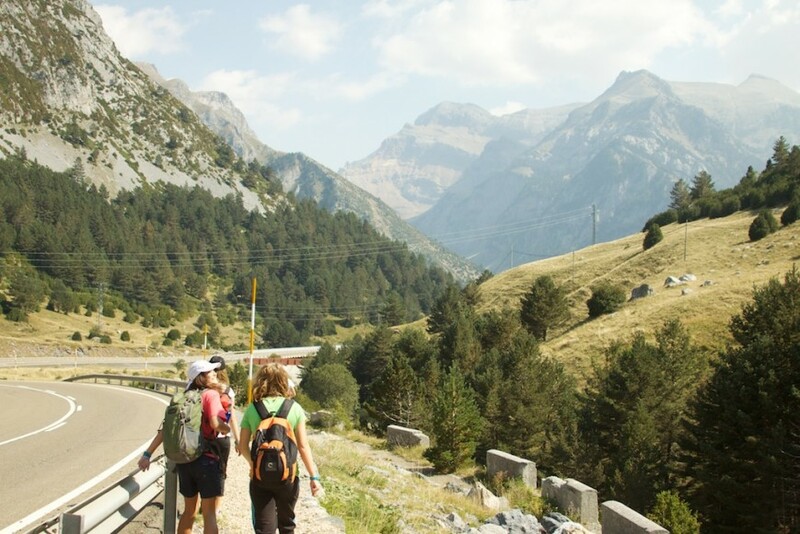 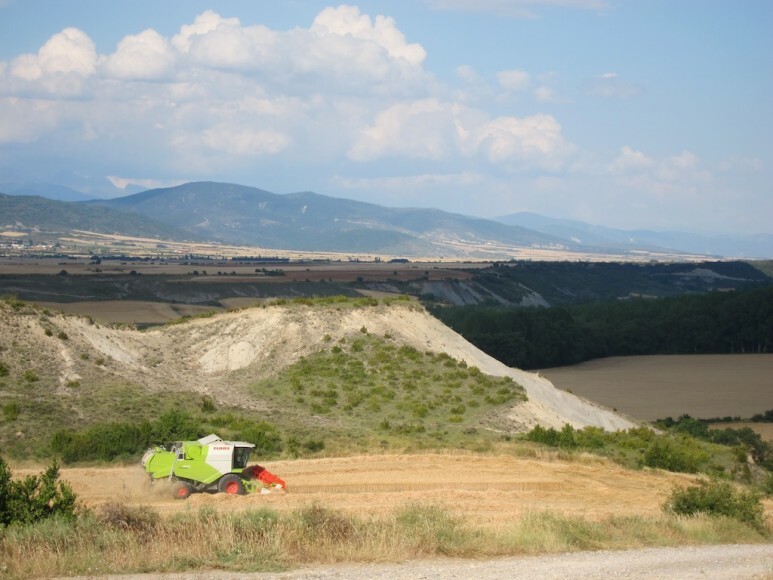 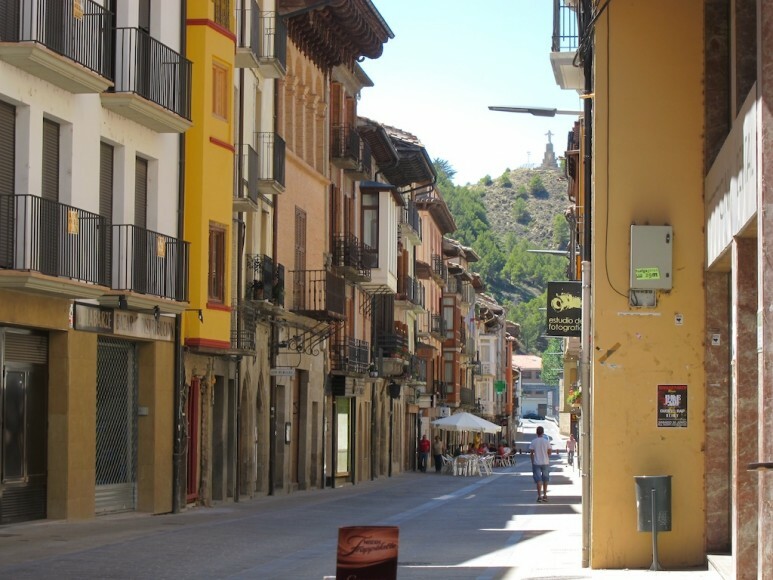 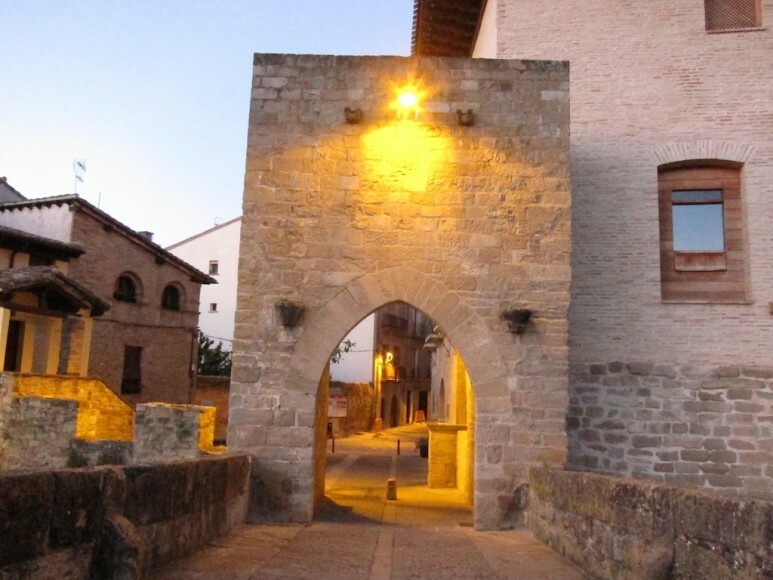 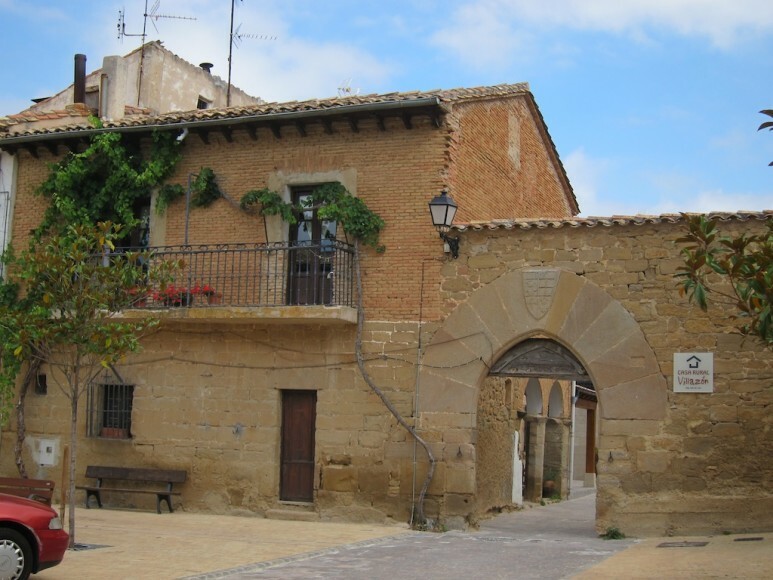 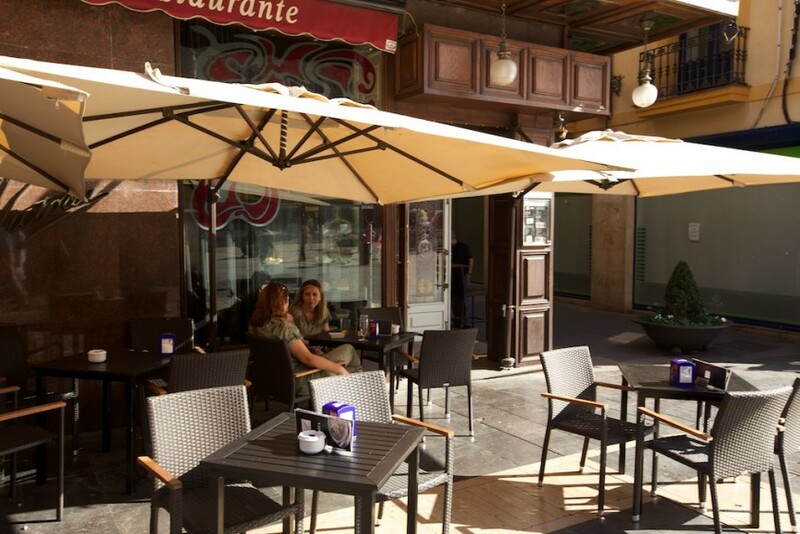 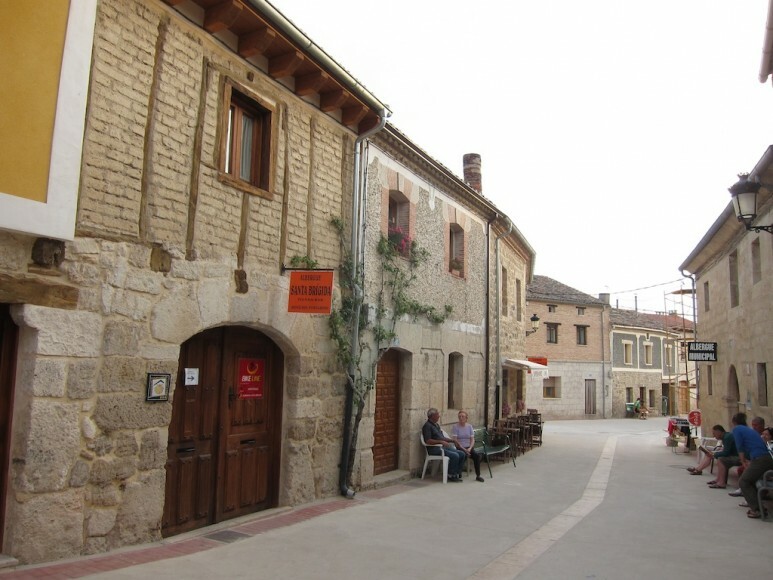 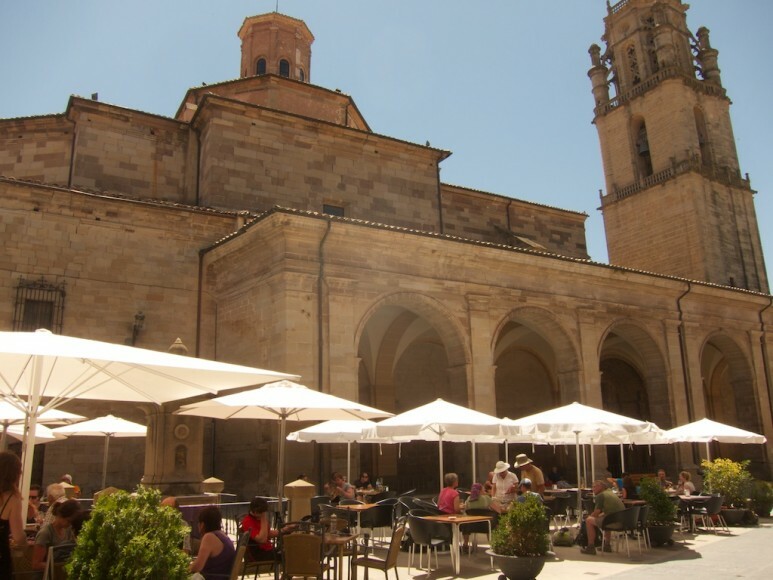 There are numerous alternative routes, including the Aragonese Route which crosses the Pyrenees from France at Somport, and descends to the medieval town of Jaca, before heading west towards Pamplona. 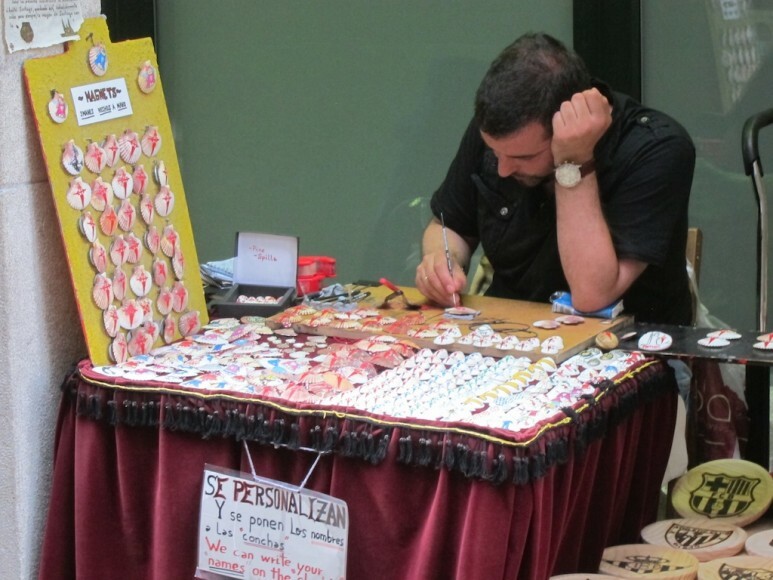 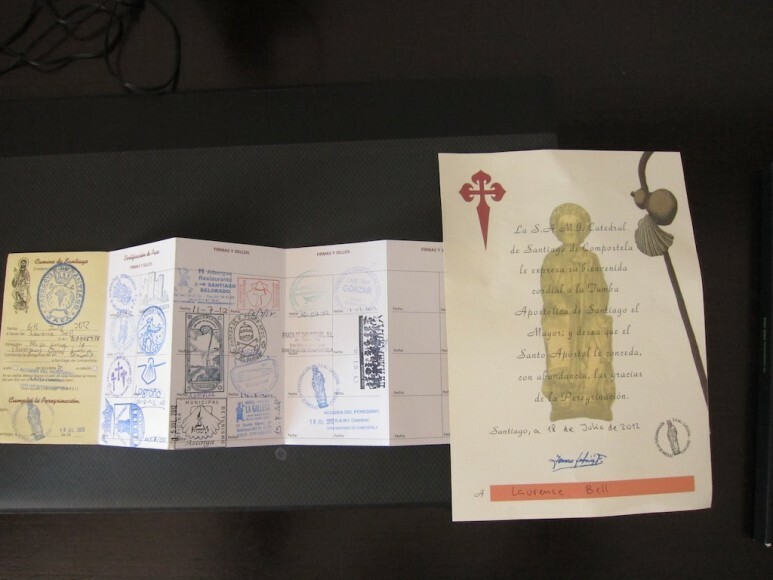 Officially all those using the services (hostels and hotels) along the route, and wishing to be issued with the Compostella, the certificate proving the accomplishment of the Camino, must have a “credencial” – a kind of pass where stamps from each place are collected proving passage. 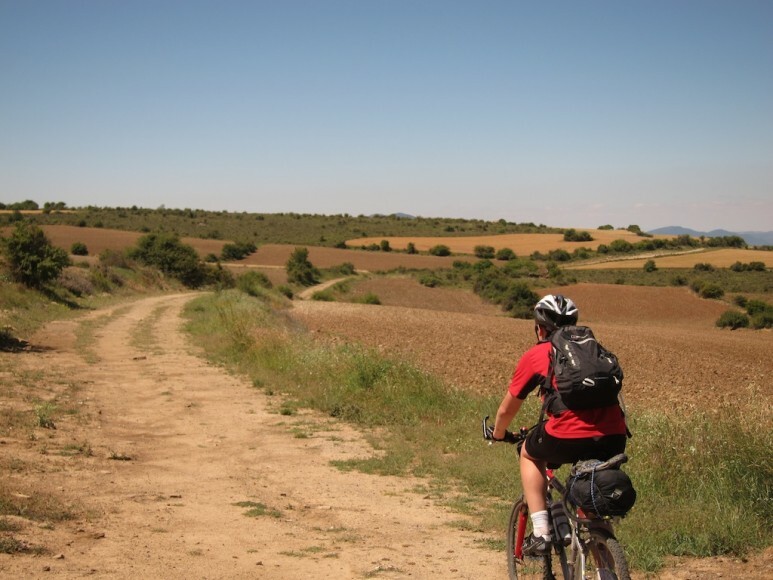 All pilgrims travelling on foot must cover 100, and all those travelling by bicycle must cover 200 kilometres. 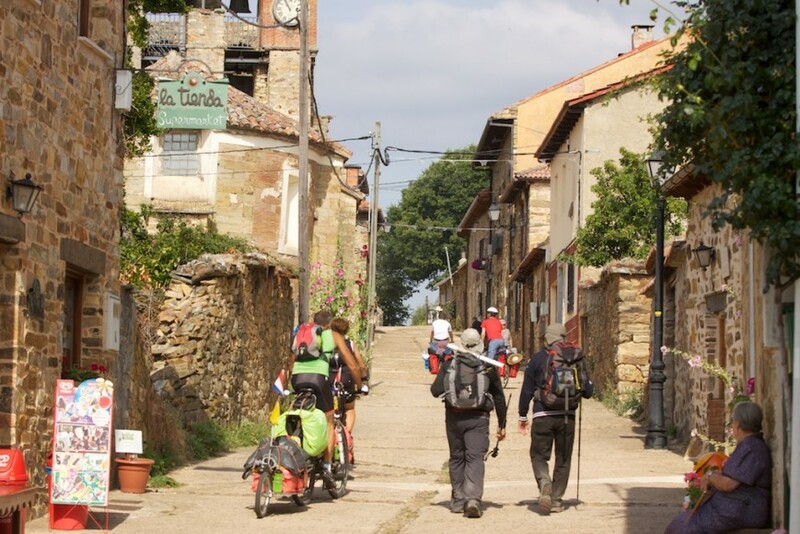 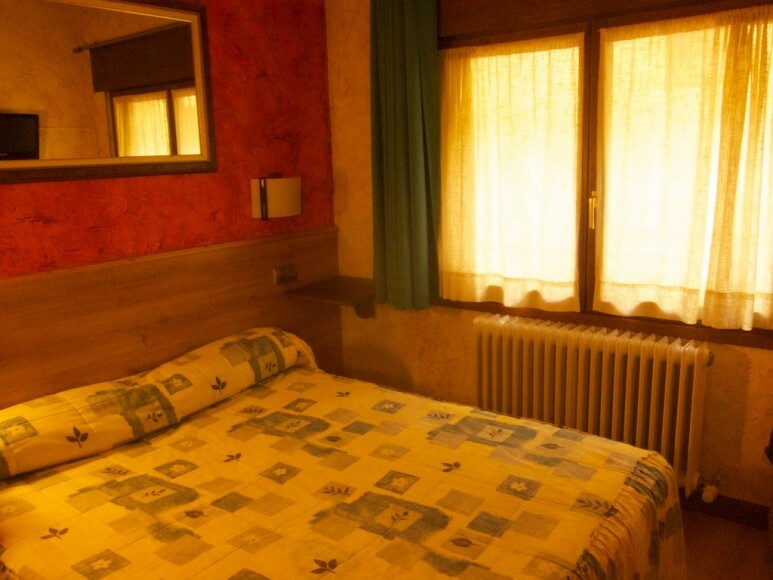 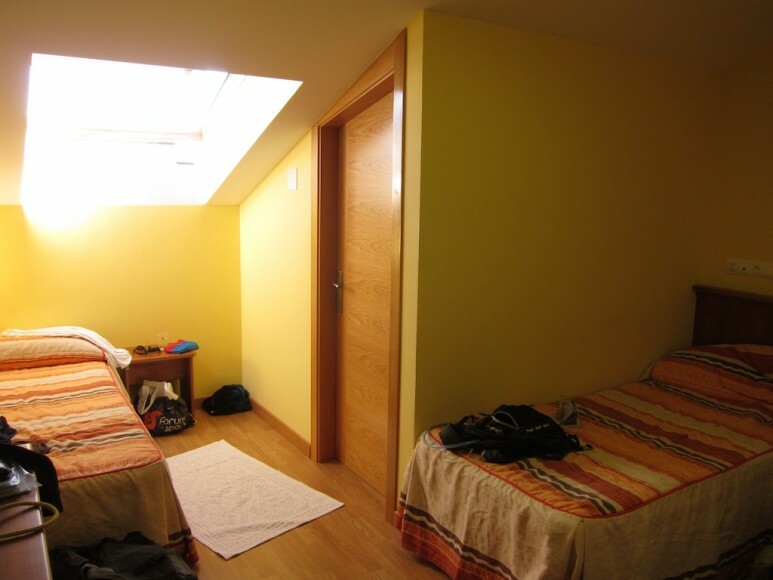 We can design a hike or bike ride for you staying in the nicer hostels (where 4 or 6 people sleep in a room, and bathrooms are shared) or in small hotels found in some sections of the route, and organize for your bags to be transported. 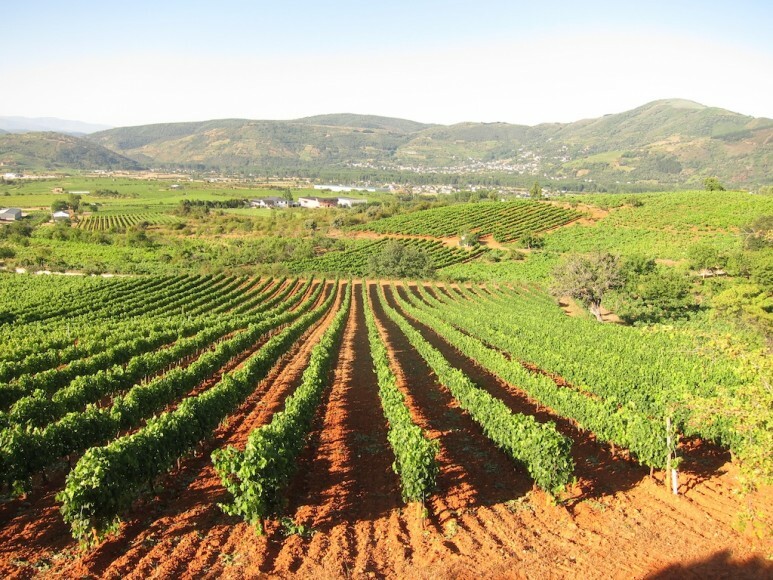 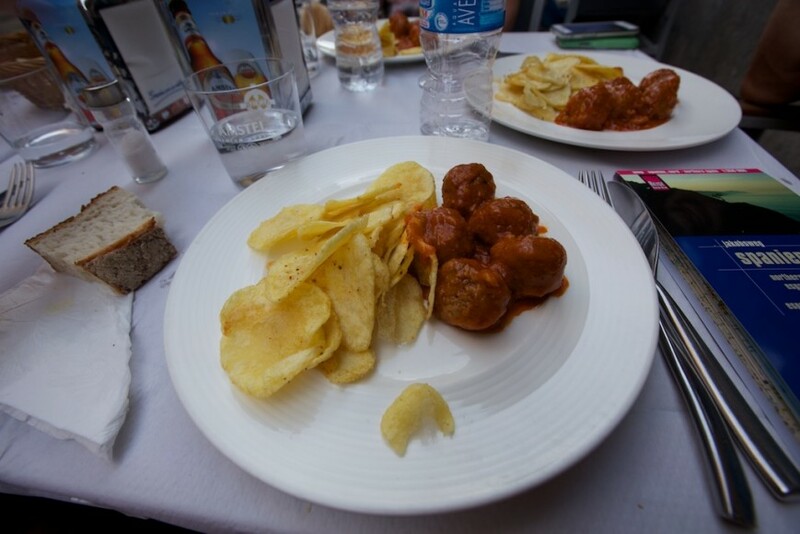 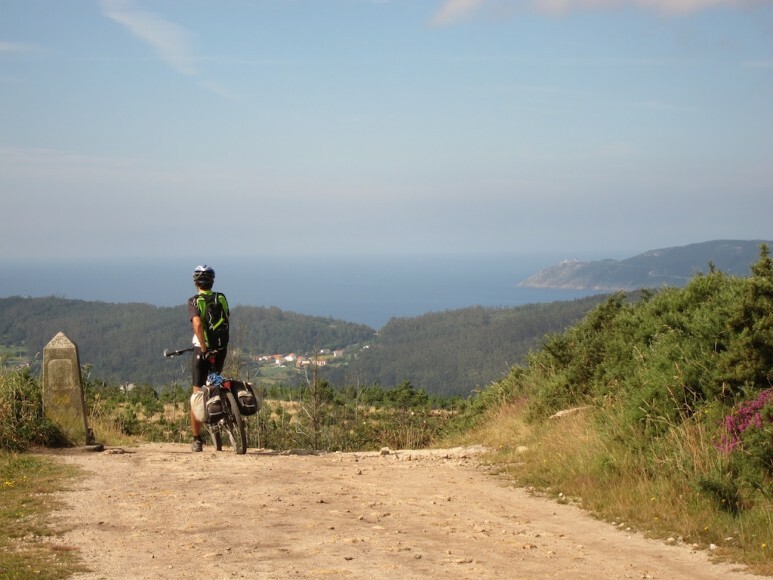 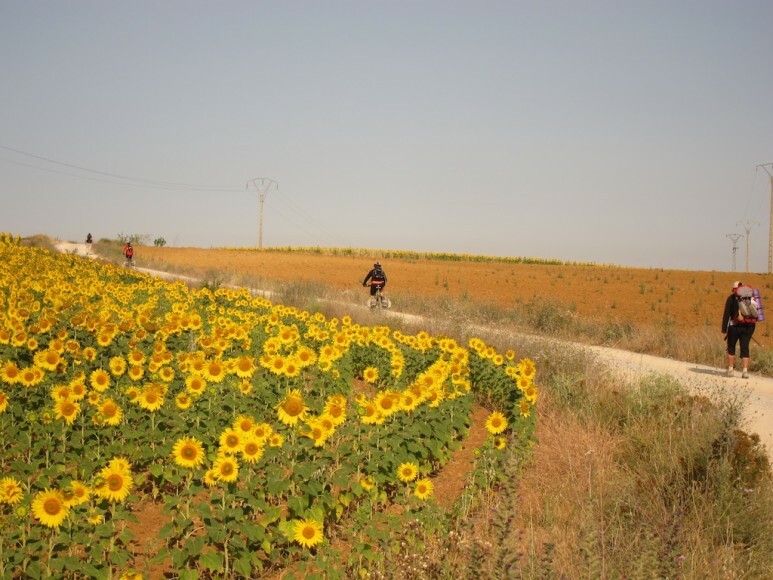 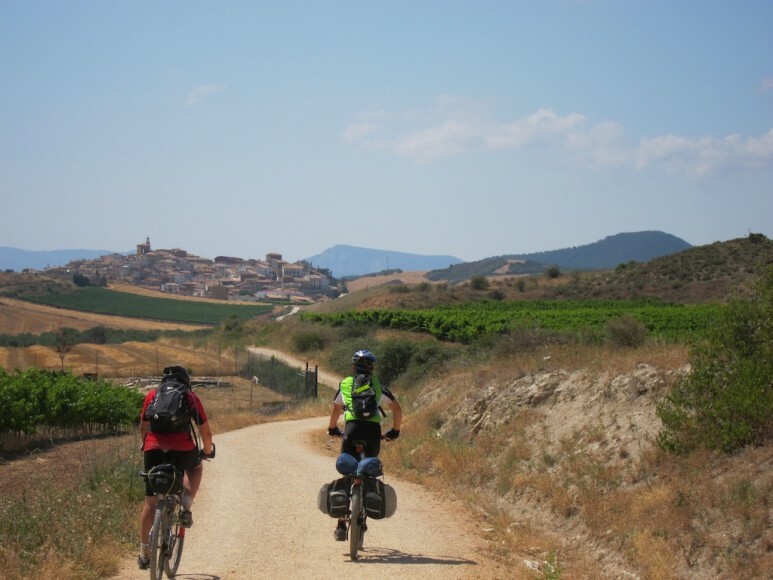 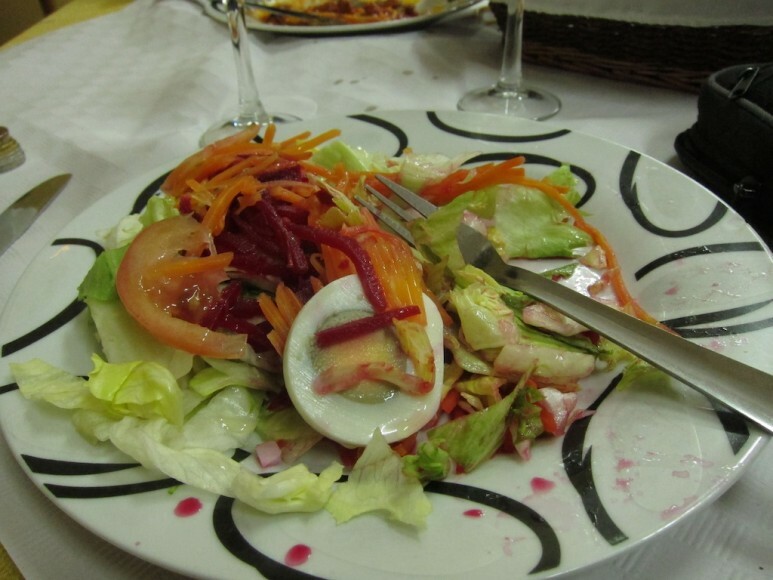 Alternatively we can offer you a more luxurious hike or bike ride, where you have a dedicated support vehicle and driver to help with picnic lunches, transporting bags, getting you to and from hotels and the hiking point, and anything else you may need along the way. 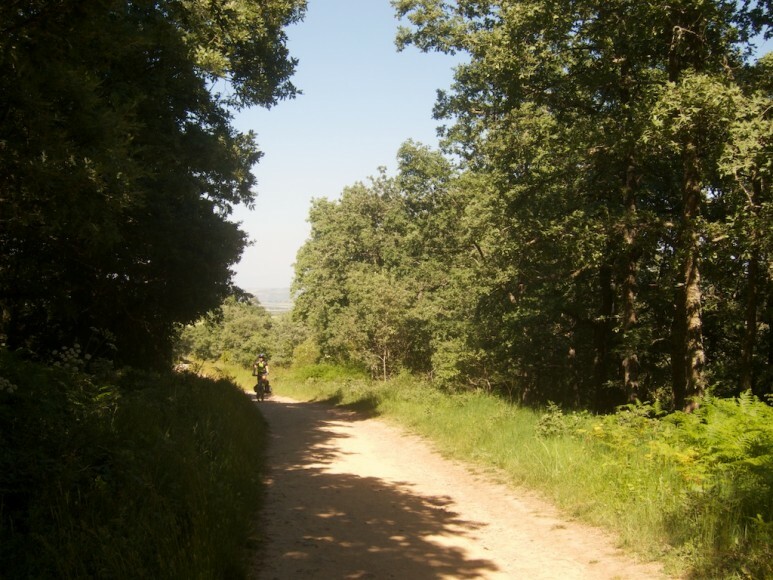 In order for us to do this we need to know the composition of your group, and how far you wish to hike or ride each day. 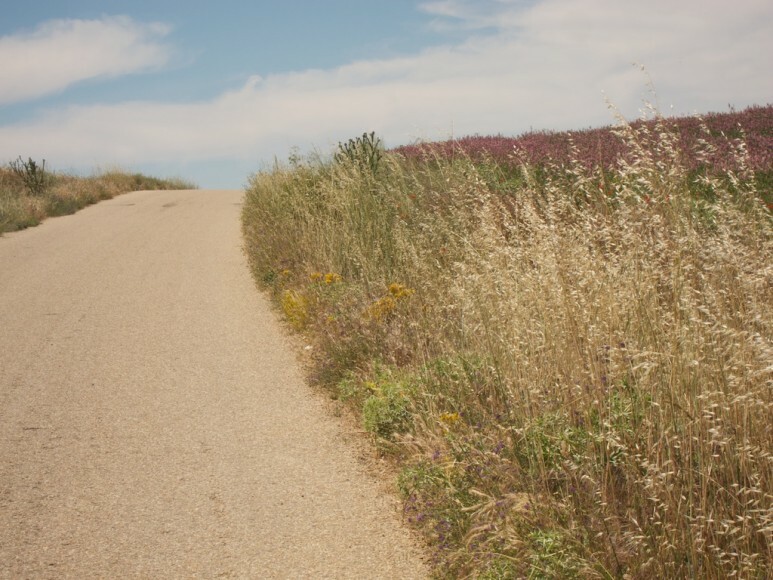 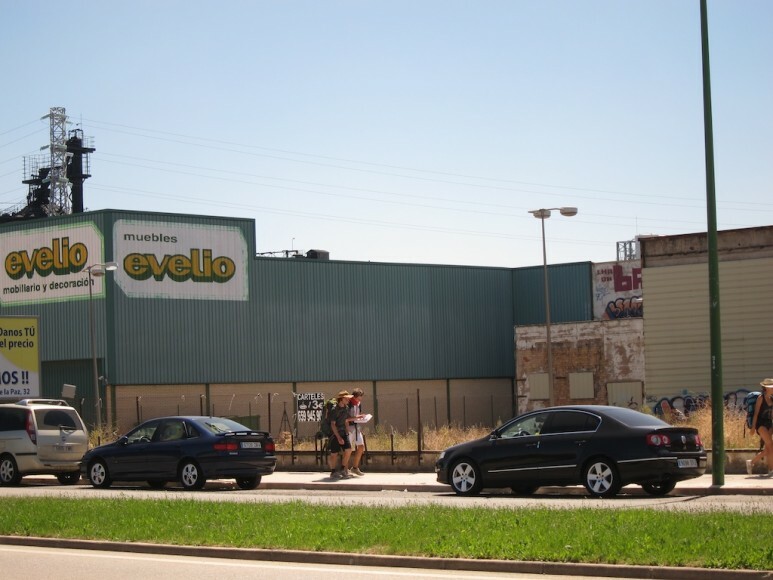 Fill in our contact form when you are ready to begin planning!